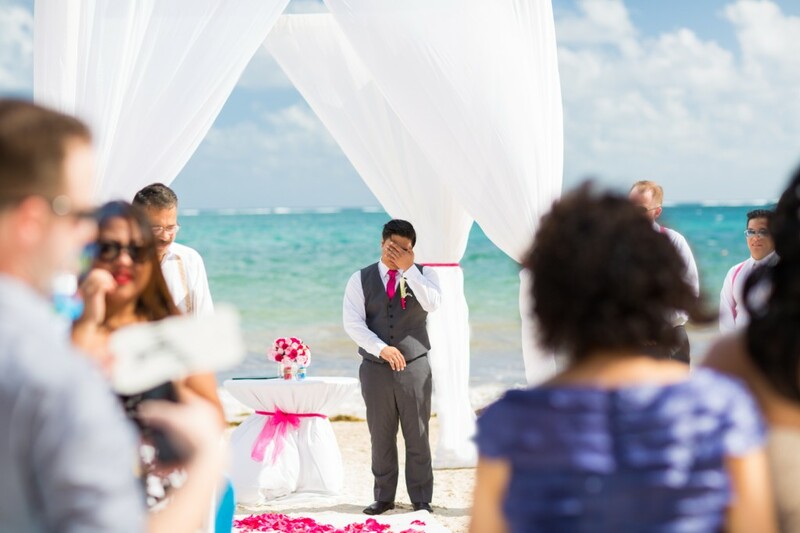 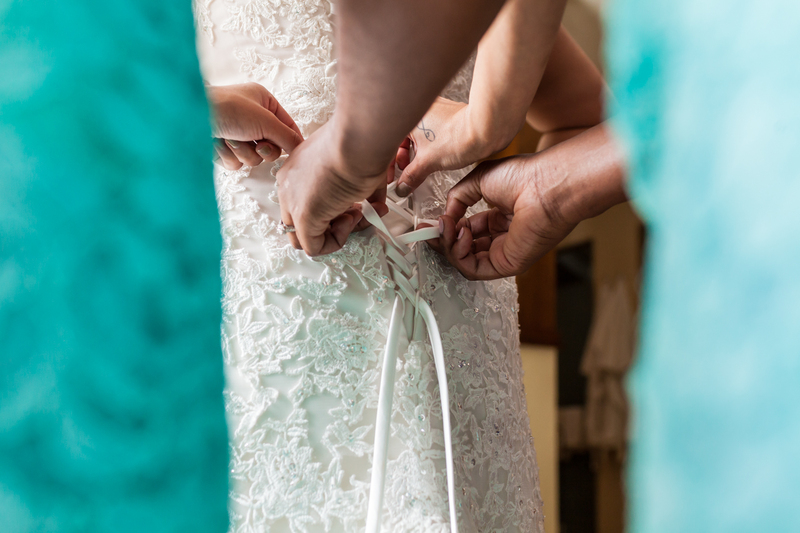 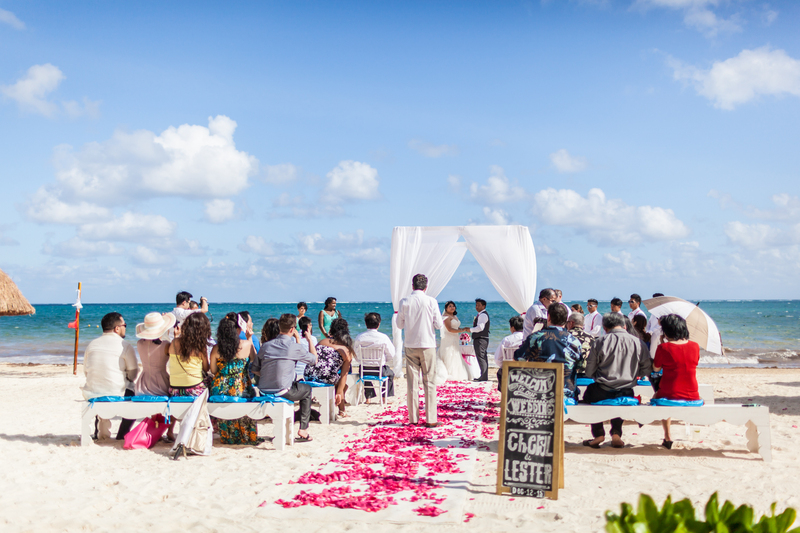 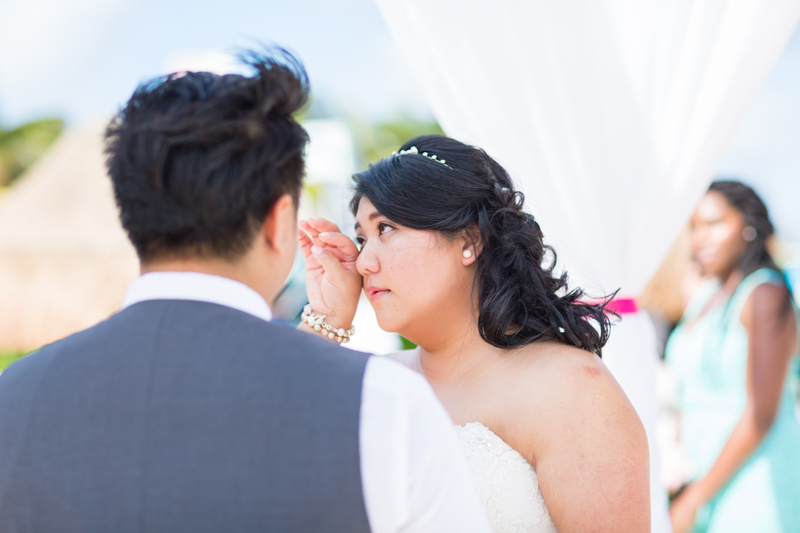 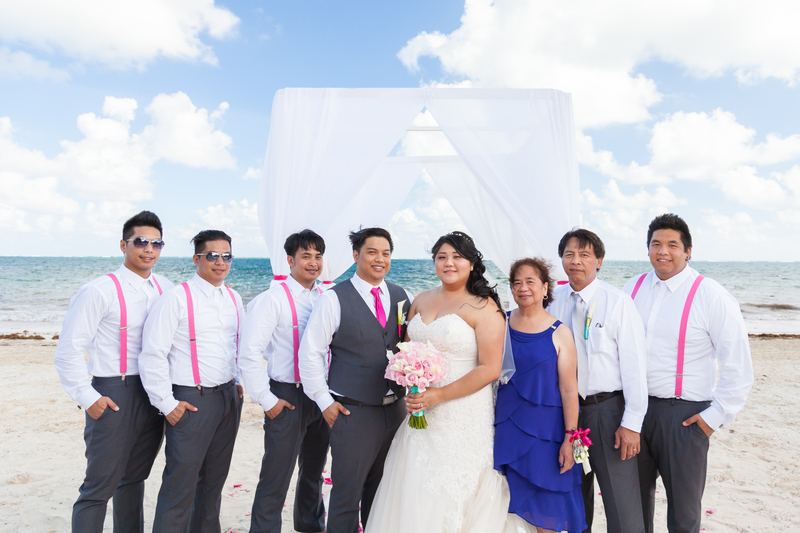 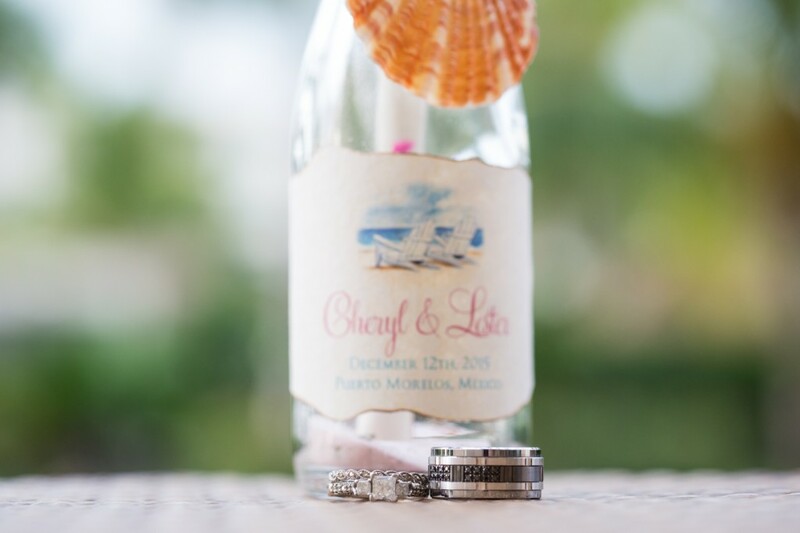 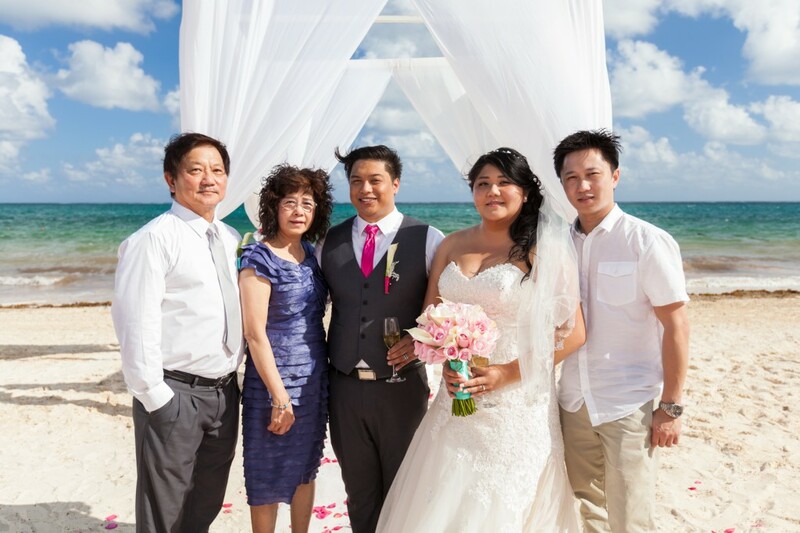 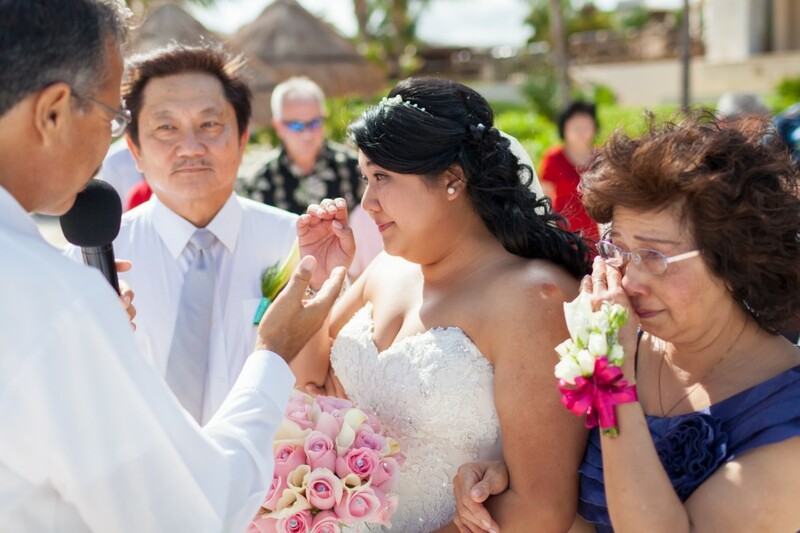 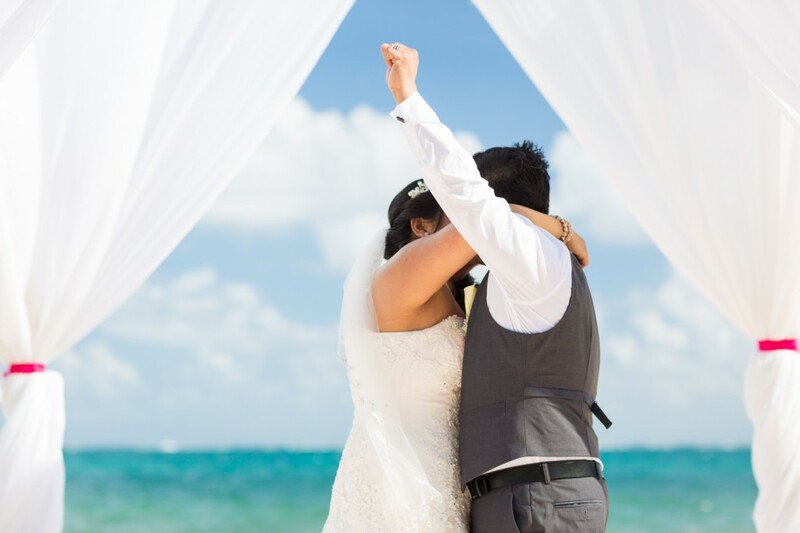 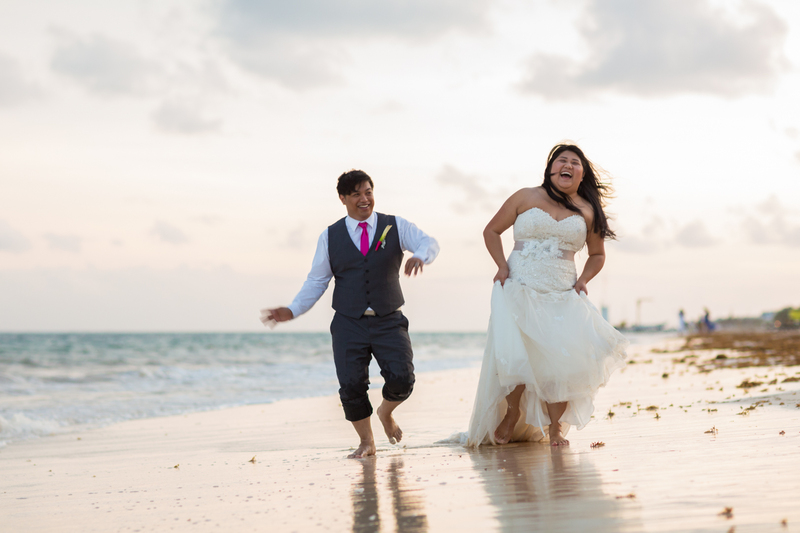 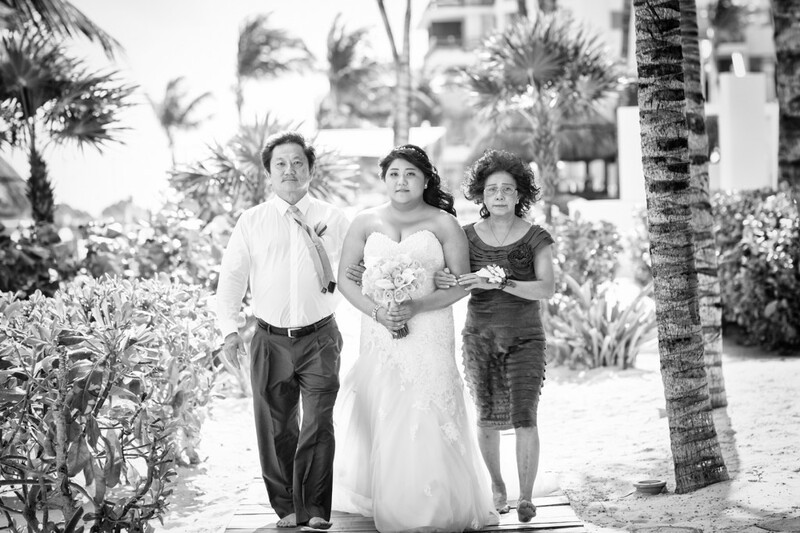 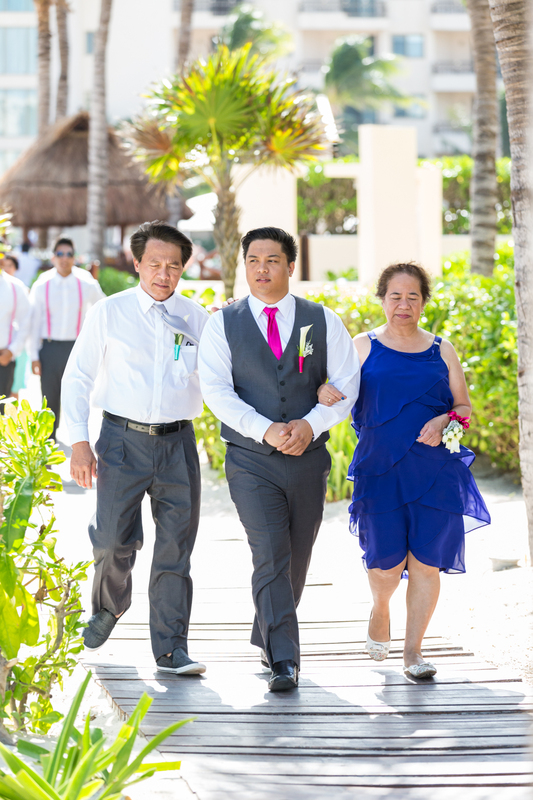 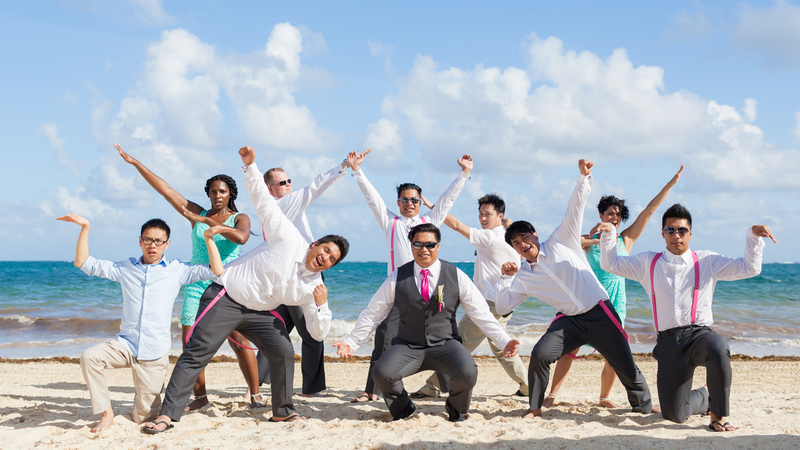 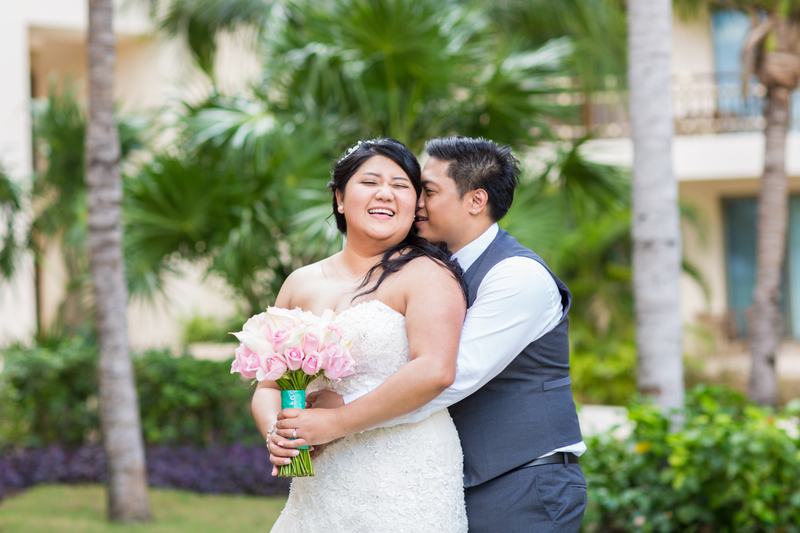 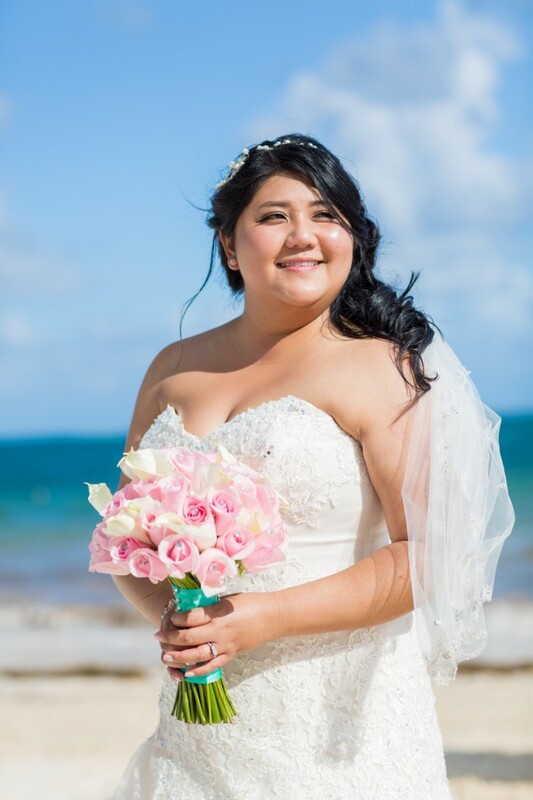 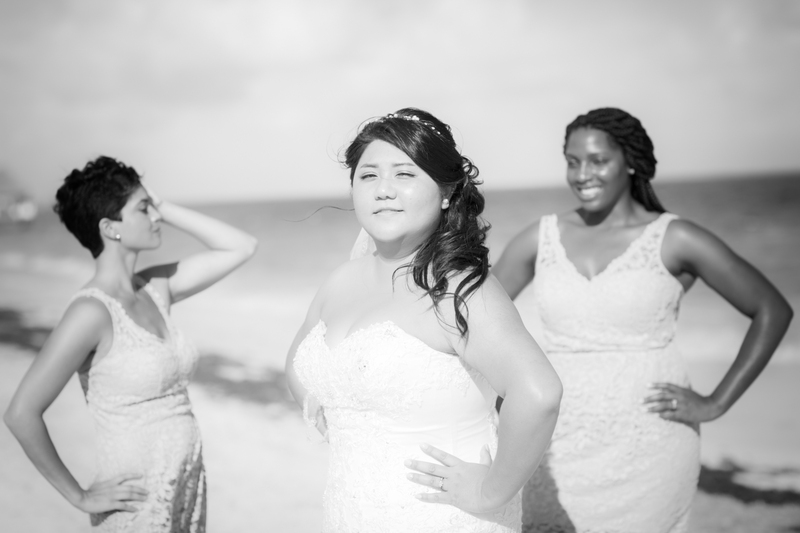 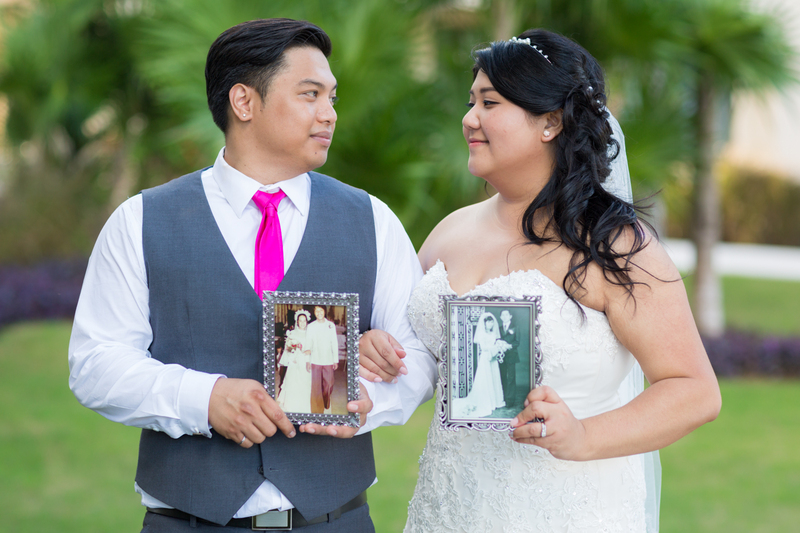 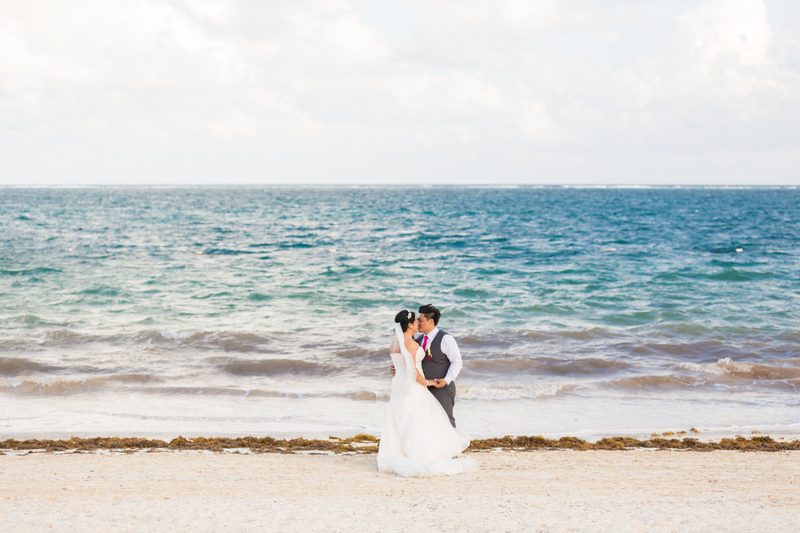 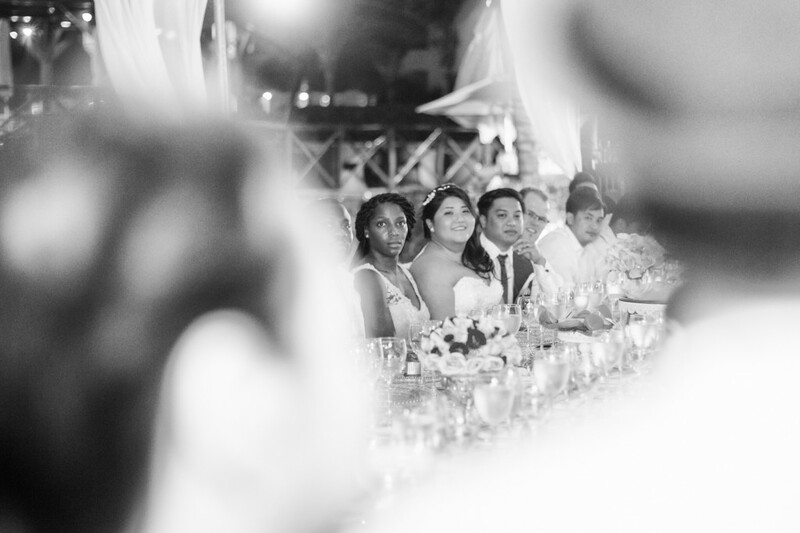 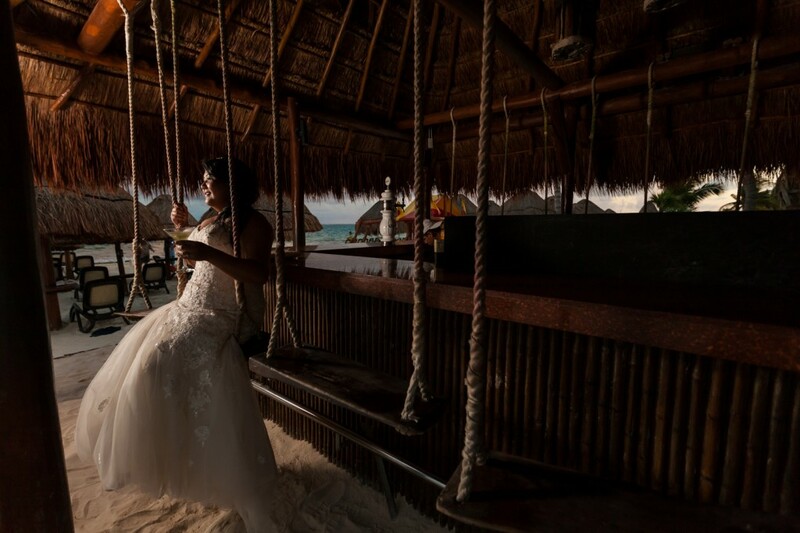 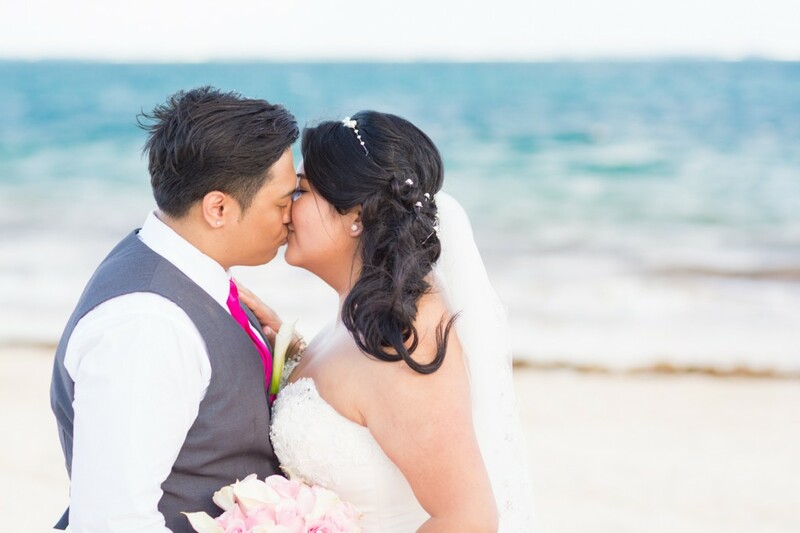 Cheryl and Lester’s Dreams Cancun destination wedding took place on the gorgeous white sand beaches of Mexico’s Mayan Riviera. 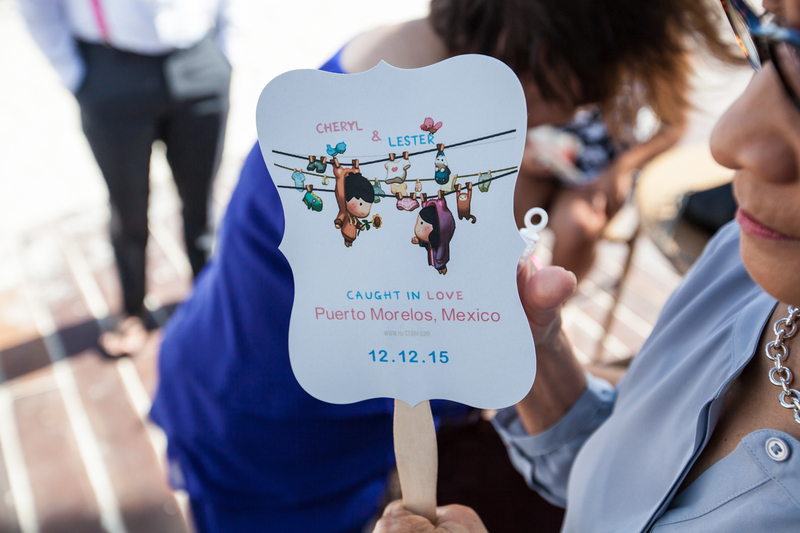 Family and friends from around the world met in this little piece of paradise to celebrate these two love birds. 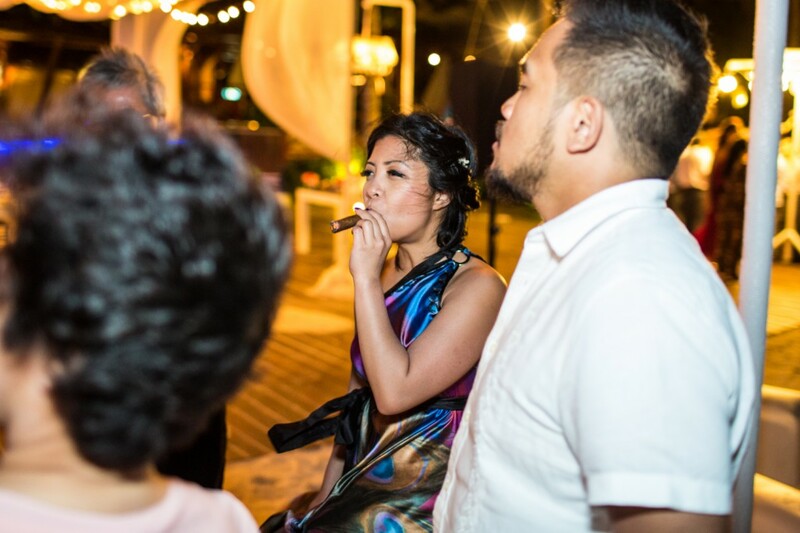 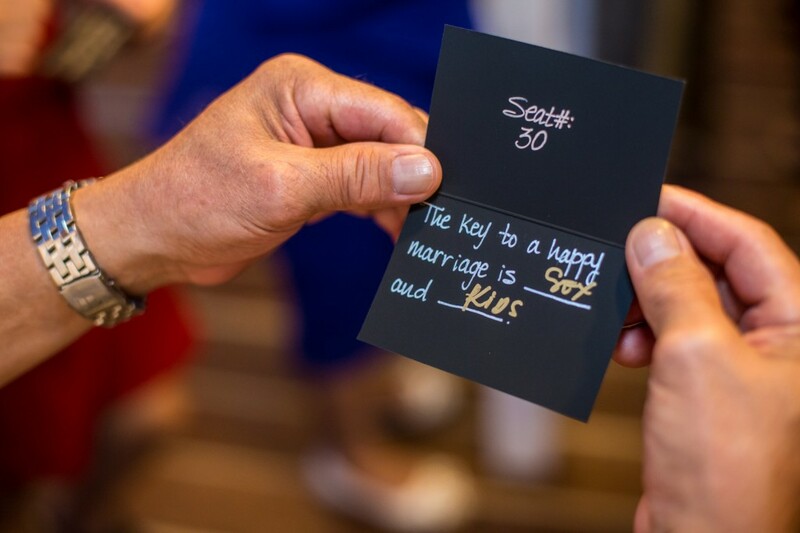 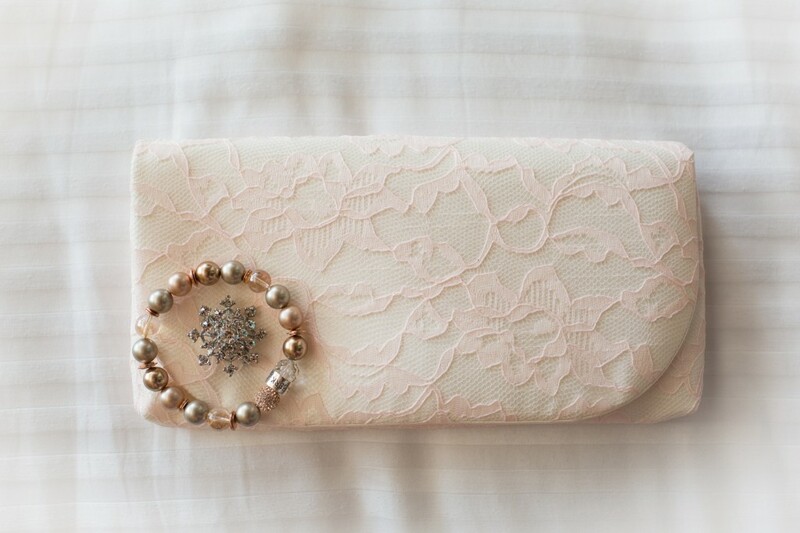 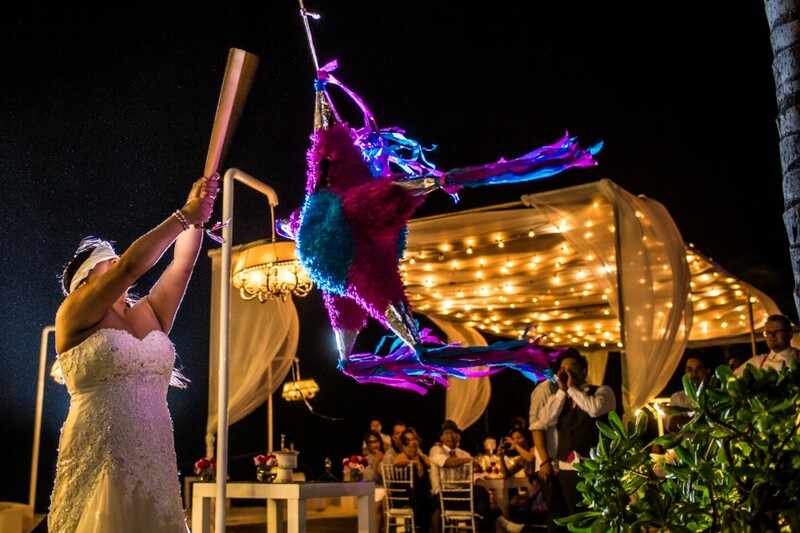 This bride and groom went above and beyond in every sense of their wedding planning. 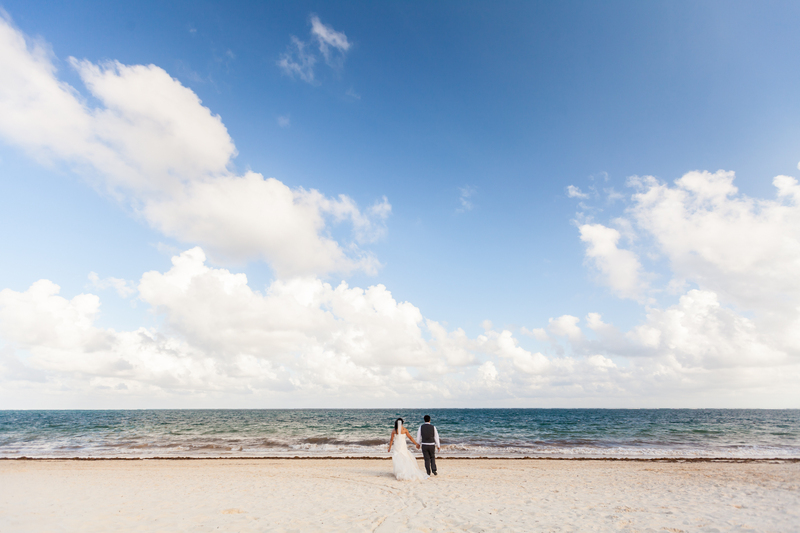 Instead of leafing through brochures they hopped on a plane and flew to Mexico to scout out their perfect resort for their dream wedding. 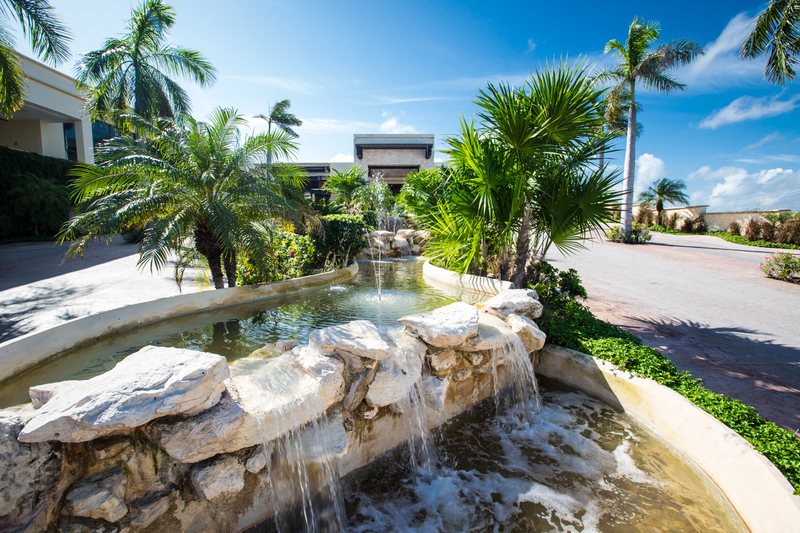 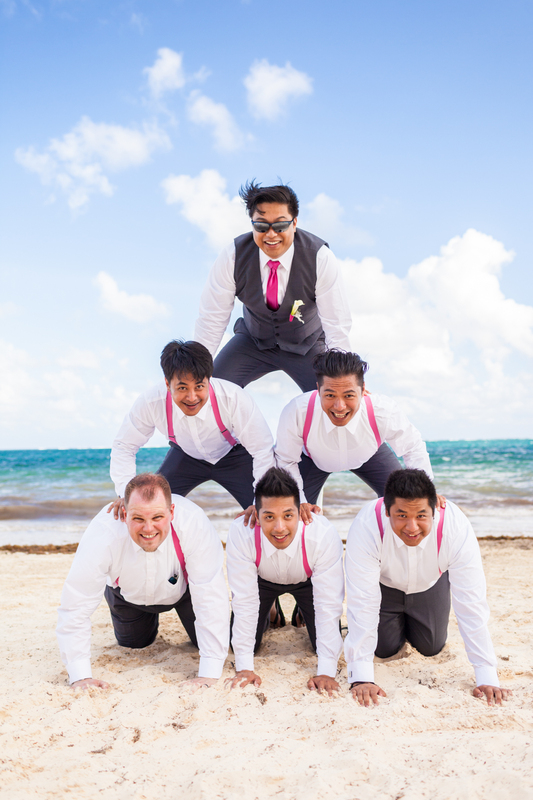 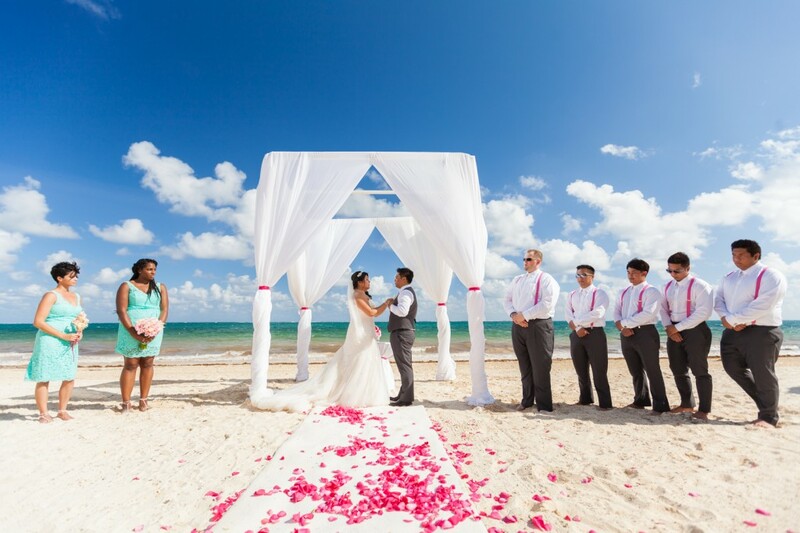 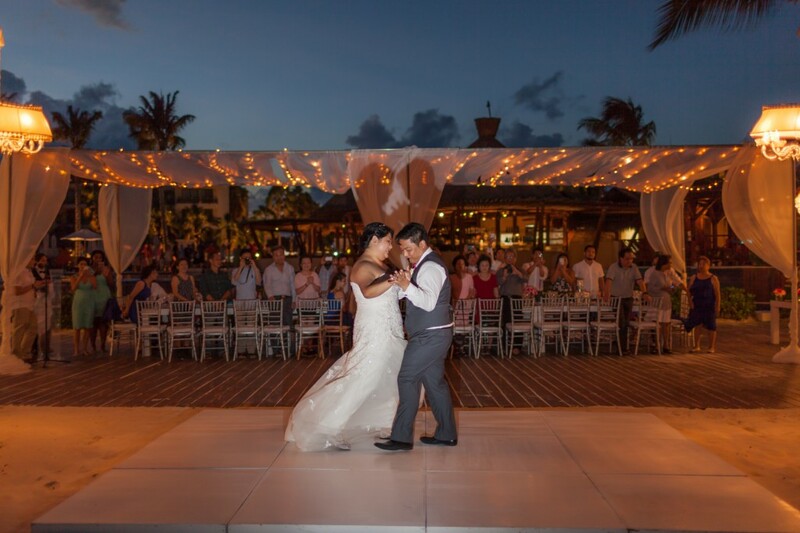 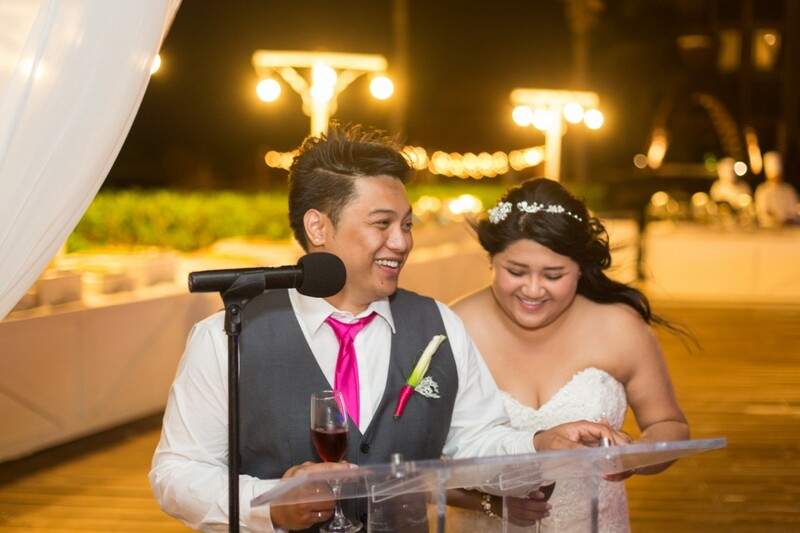 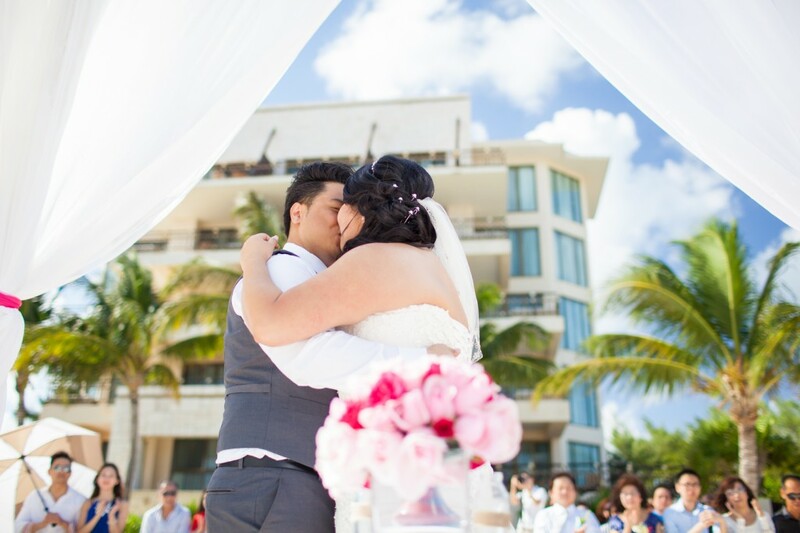 It just so happened that they fell in love with the Dreams Mayan Riviera Cancun resort. 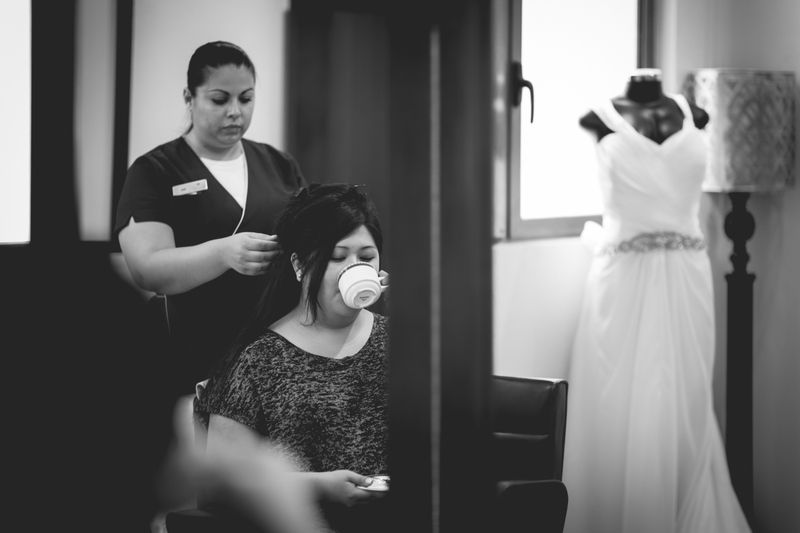 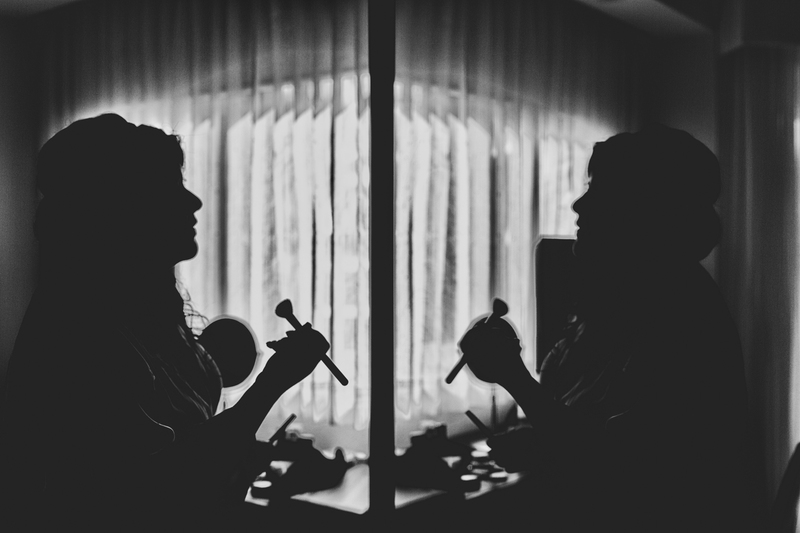 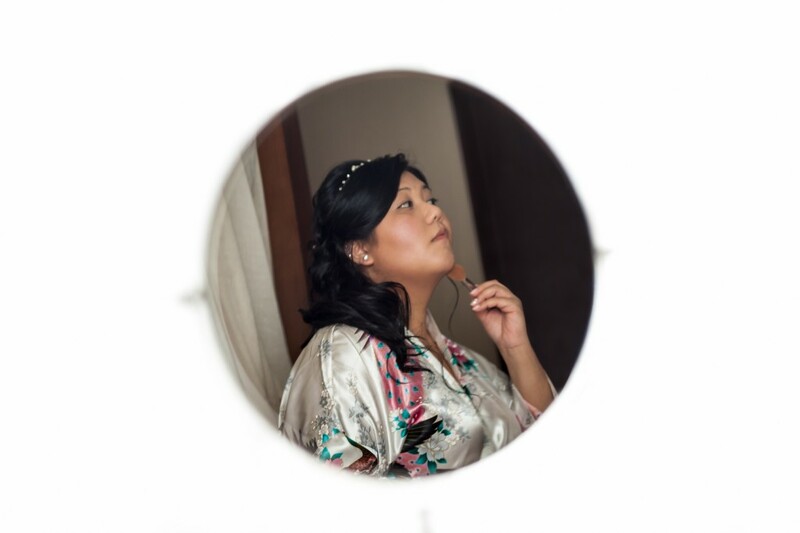 The morning of the wedding, Cheryl arrived early at the salon for her hair and makeup. 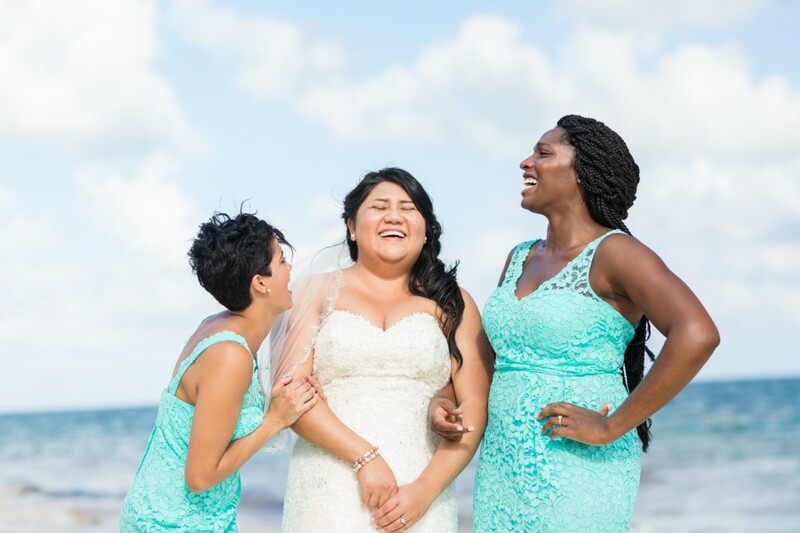 She was excited as she sipped her green tea and waited for her bridesmaids to arrive. 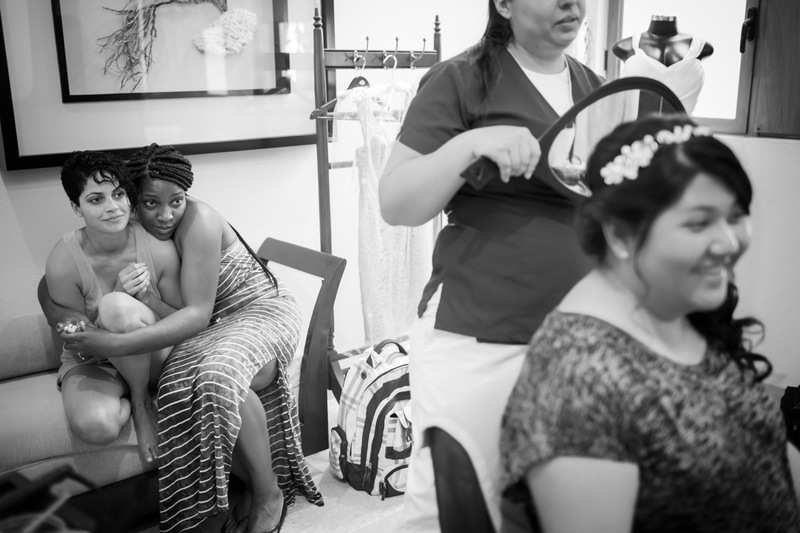 Once the girls arrived, Cheryl relaxed and they got down to the very serious business of getting ready. 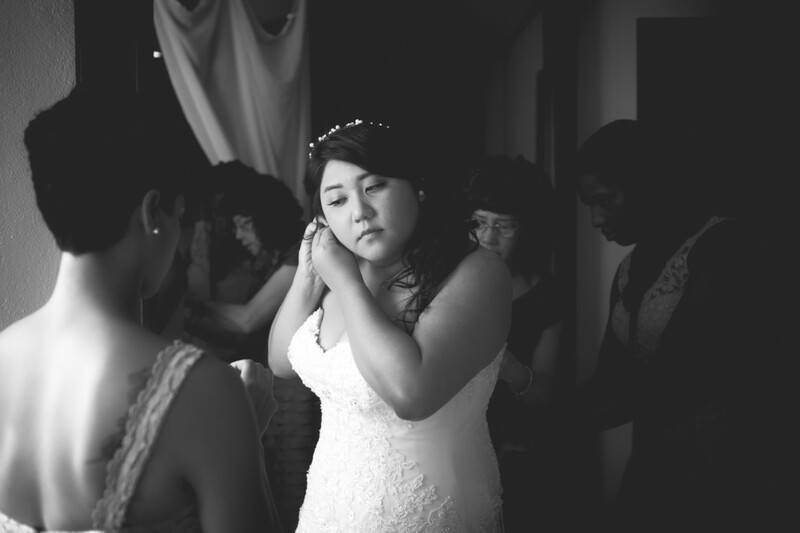 Cheryl had just finished her hair and makeup when a tiny knock came at the door and a small box was delivered to the bride. 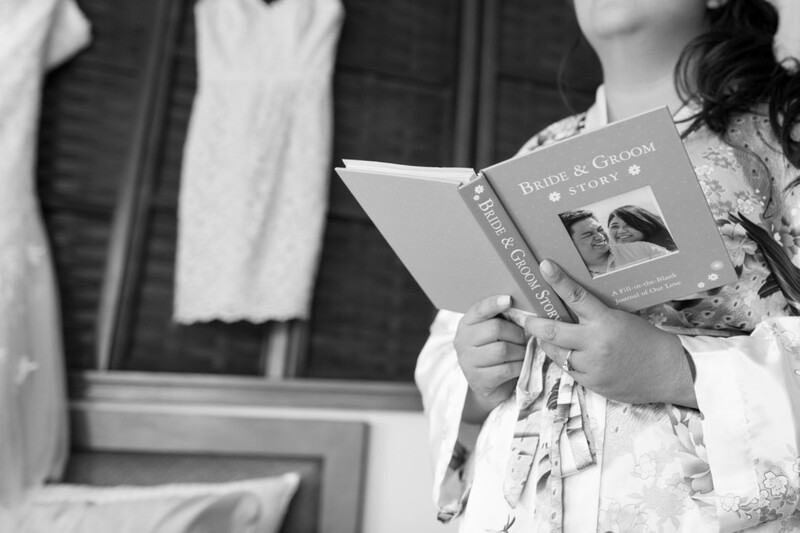 Inside was a beautifully customized book full of beautiful handwritten messages and stories from Lester. 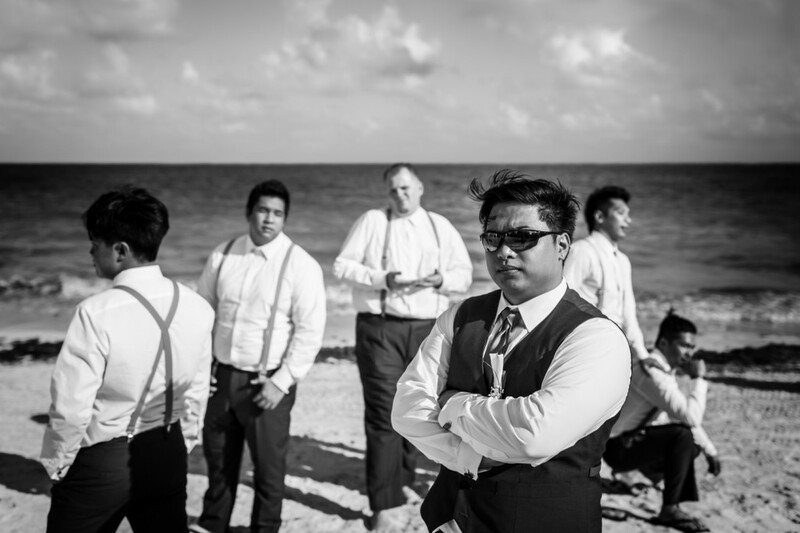 Lester was lucky enough to have his four brother and best friend stand with him as his groomsmen. The morning of the wedding the guys met up at the main pool for a few drinks and a quick swim before getting ready. 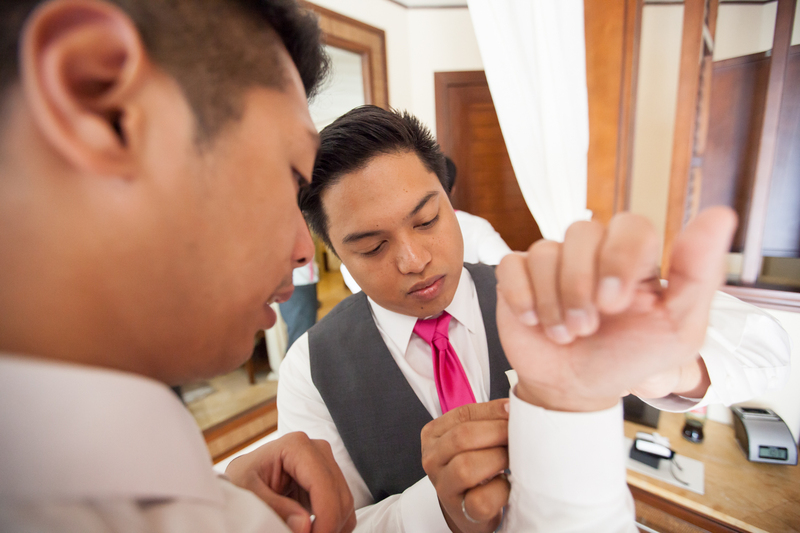 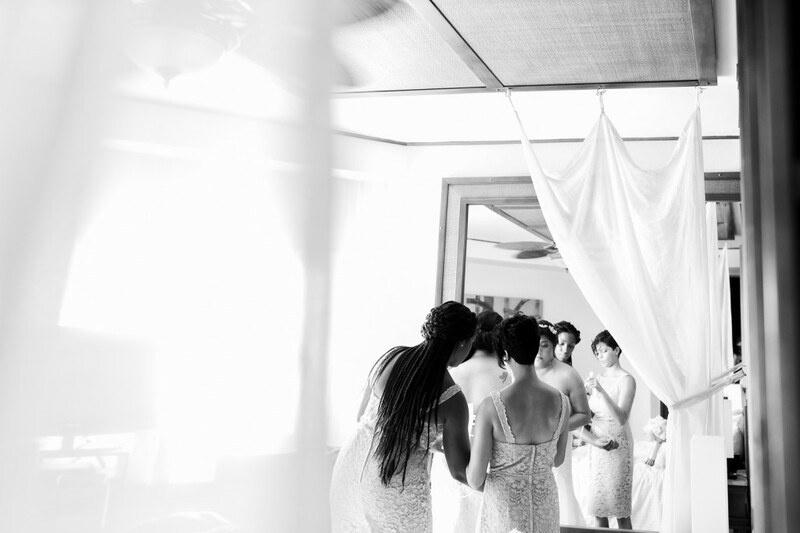 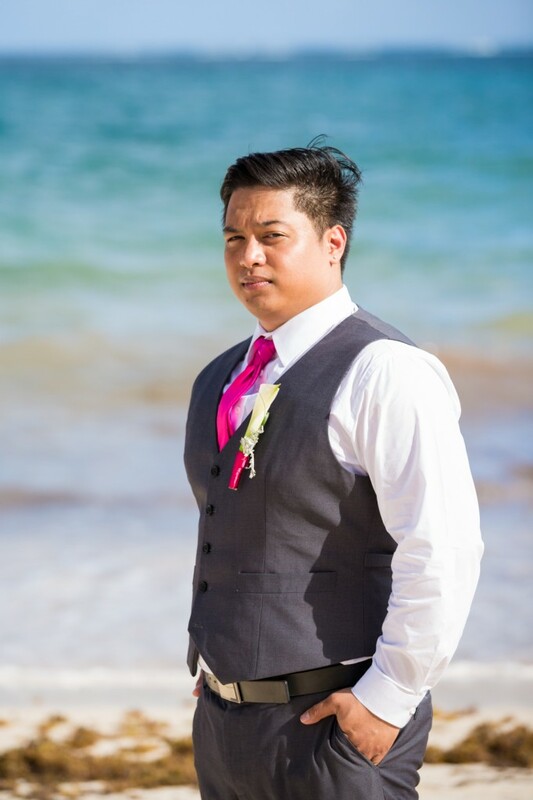 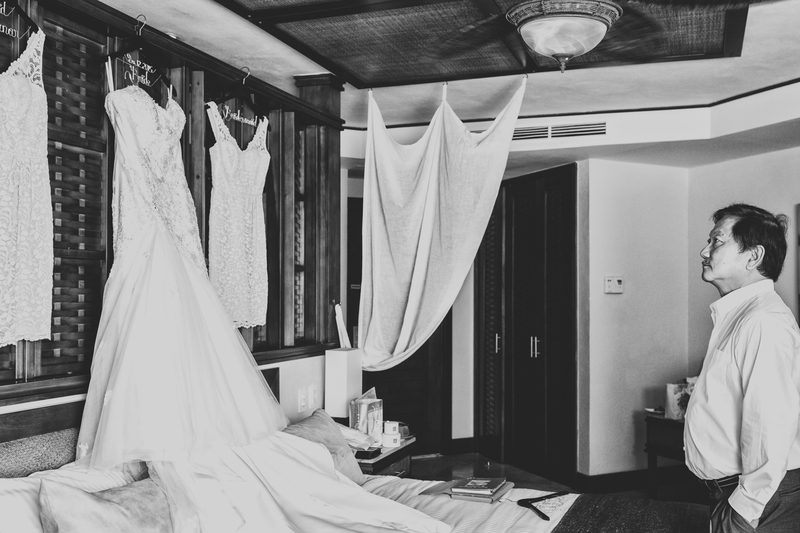 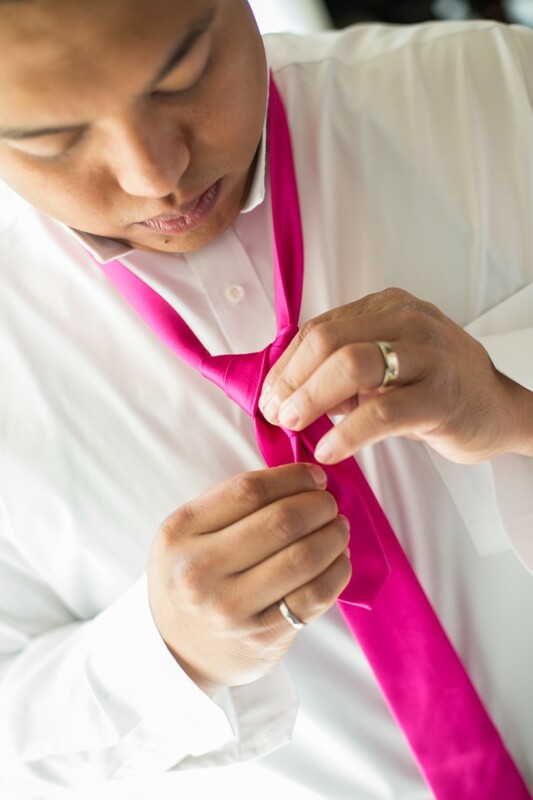 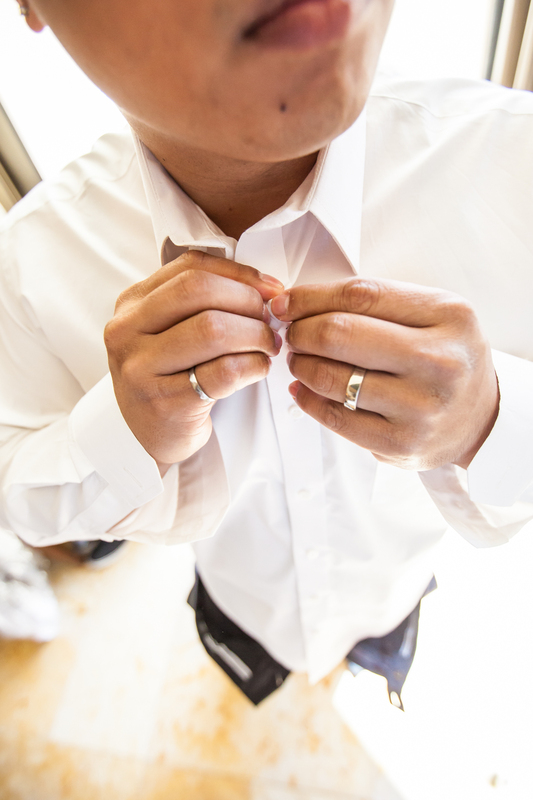 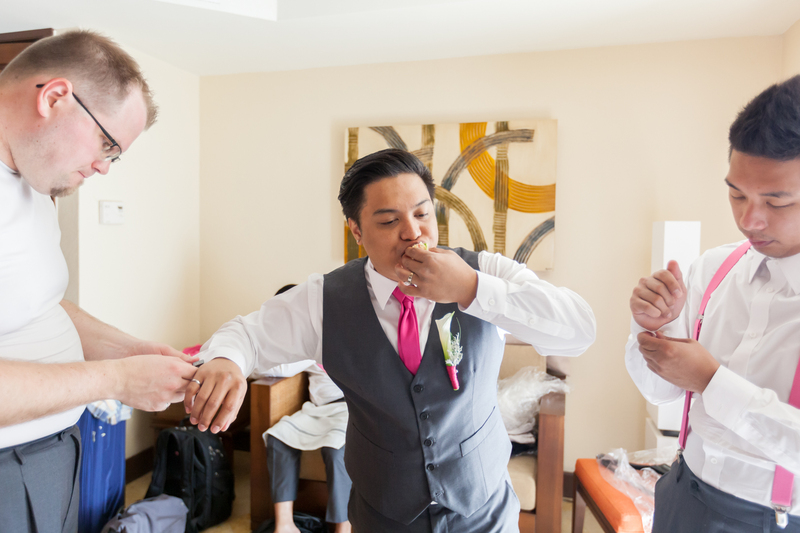 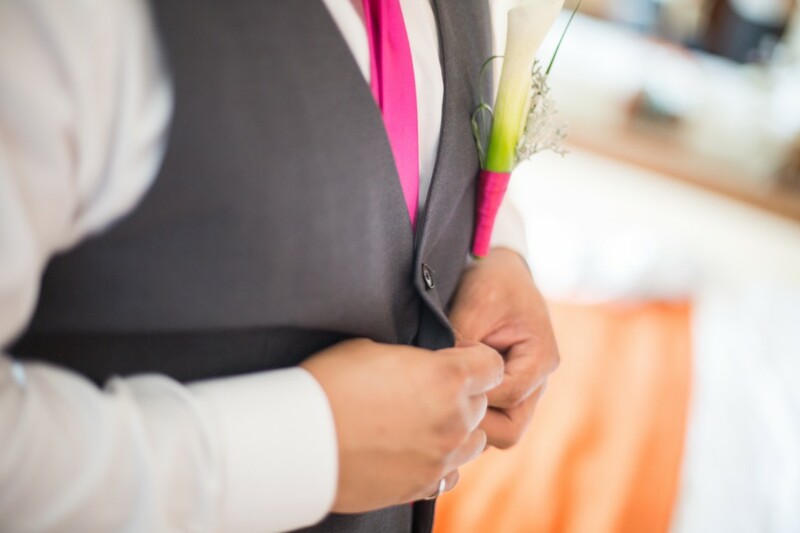 The Dreams Resort provided a beautiful wedding suite for the groom and his groomsmen to get ready in. 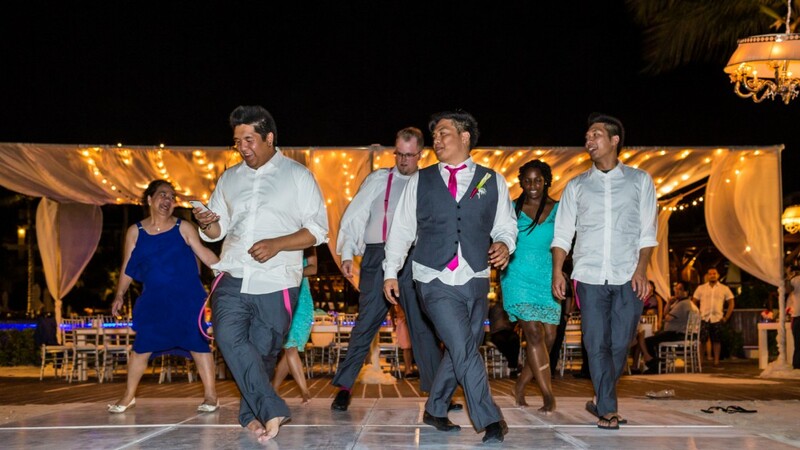 All of the groomsmen pitched in to help get Lester ready to walk down the aisle. 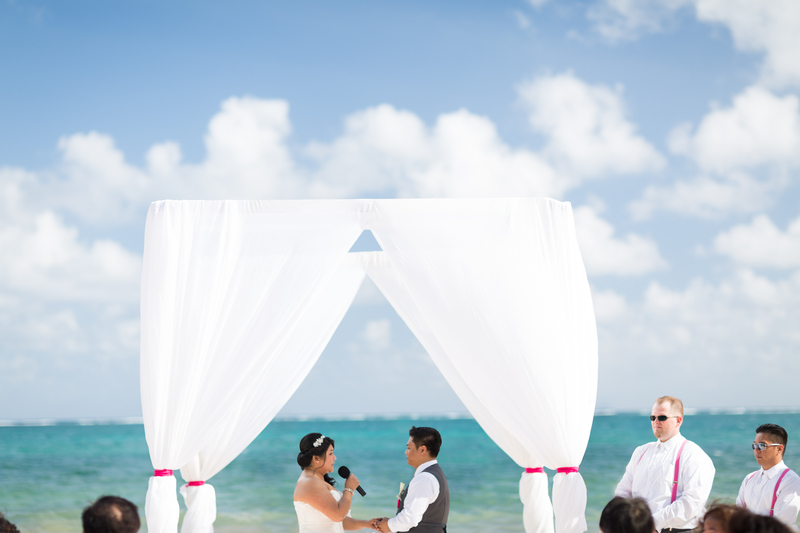 The early afternoon wedding ceremony was held on a beautiful beach area away from the noise of the pools and bars, where Cheryl and Lester met under a lovely archway draped in white linen. 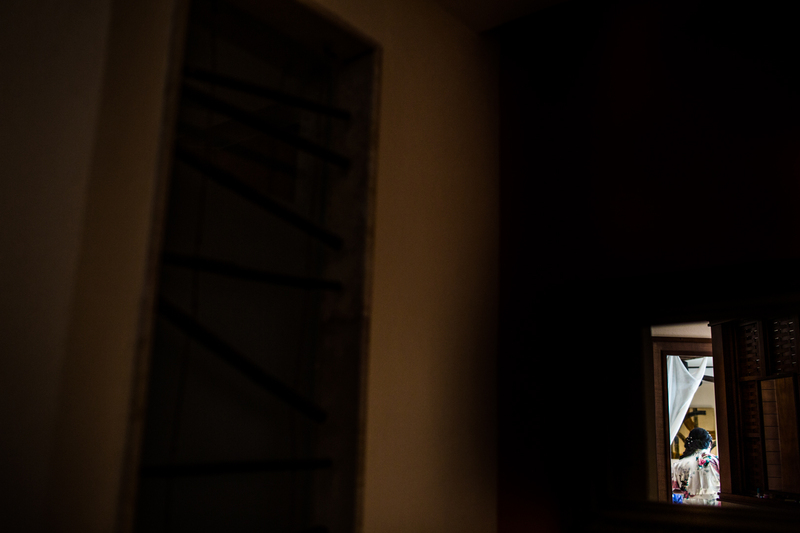 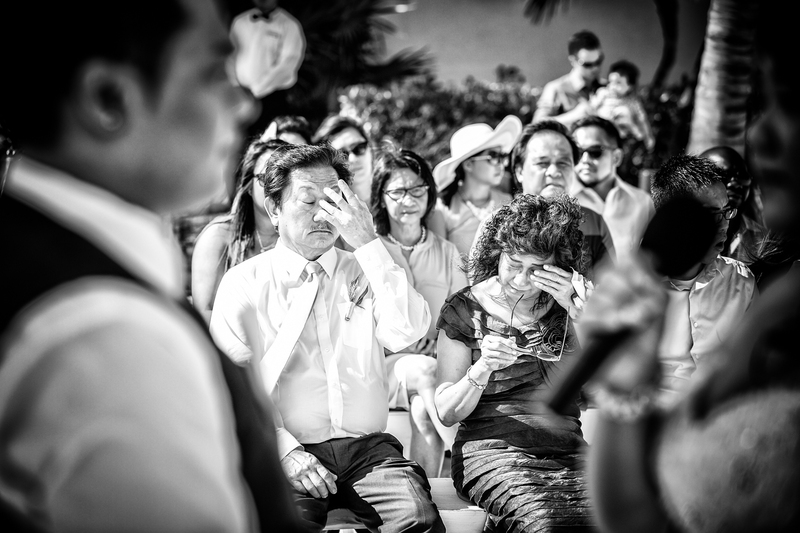 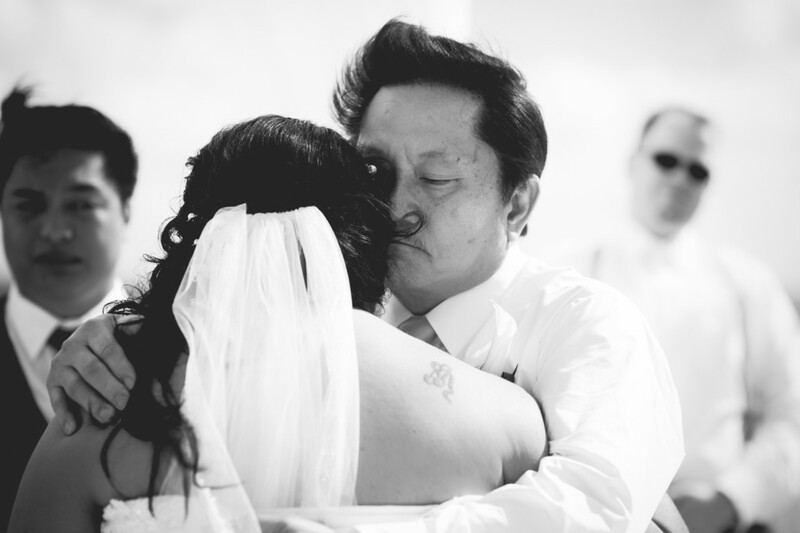 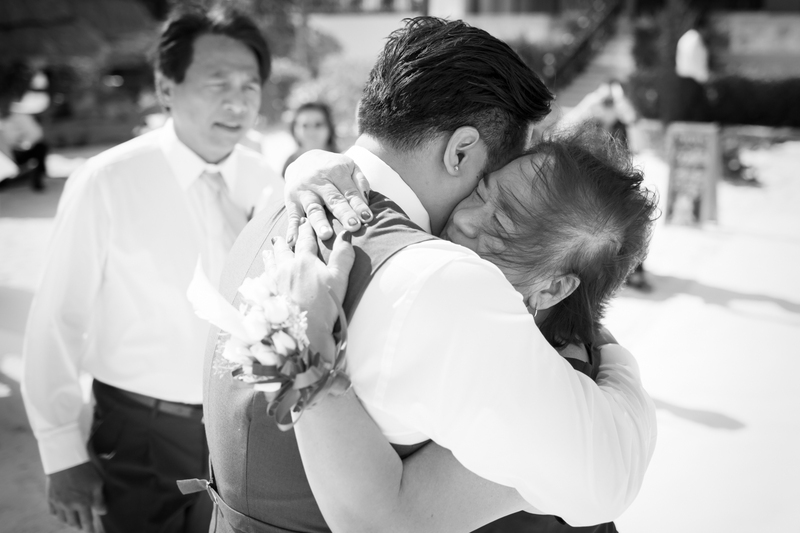 Lester was barely able to hold back tears as he watched his bride walk to meet him, and it was not too long before Cheryl herself was dabbing away a few tears. 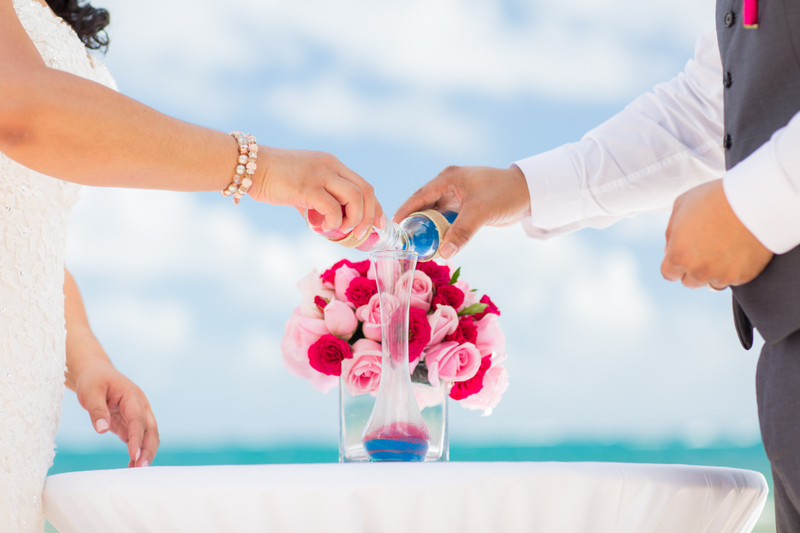 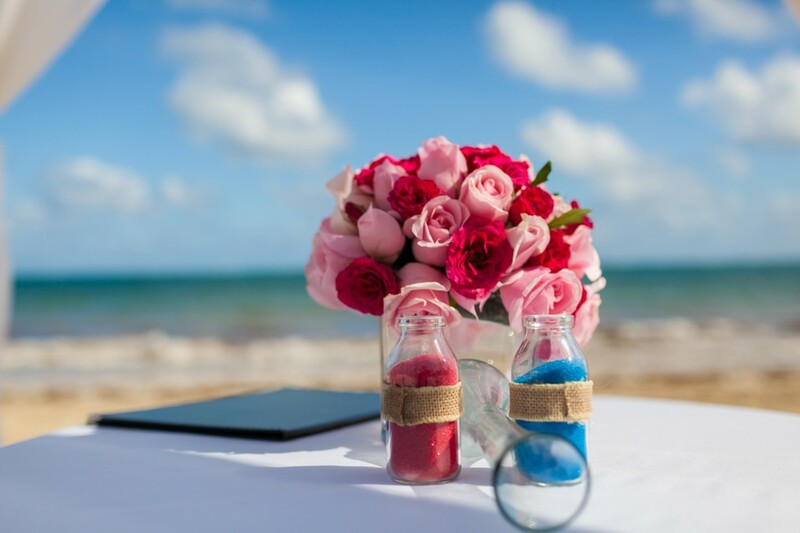 After their vows were read, Cheryl and Lester poured pink and blue sand together into a beautiful vase, a symbol of their now inseparable lives. 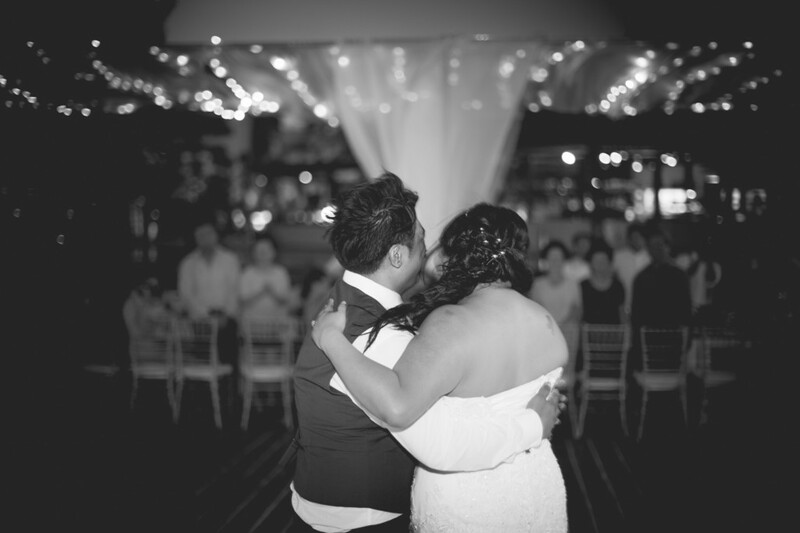 To the roaring applause of their family and friends, Cheryl and Lester took their first kiss as husband and wife. 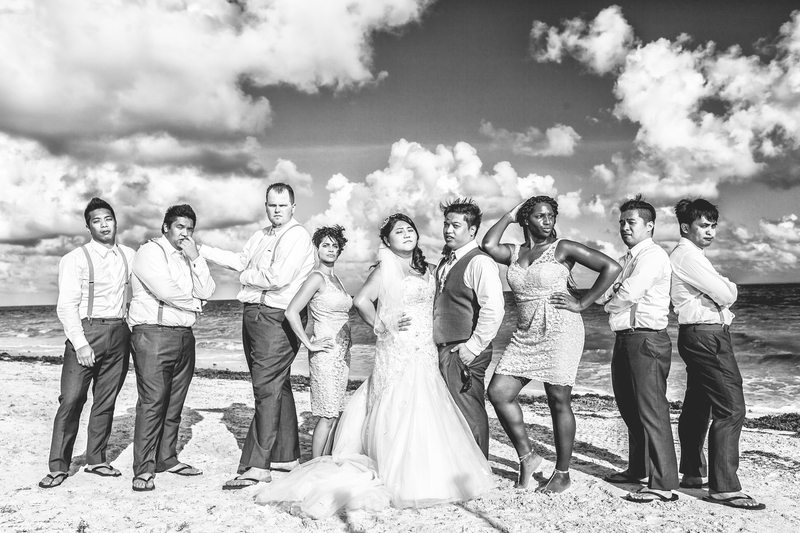 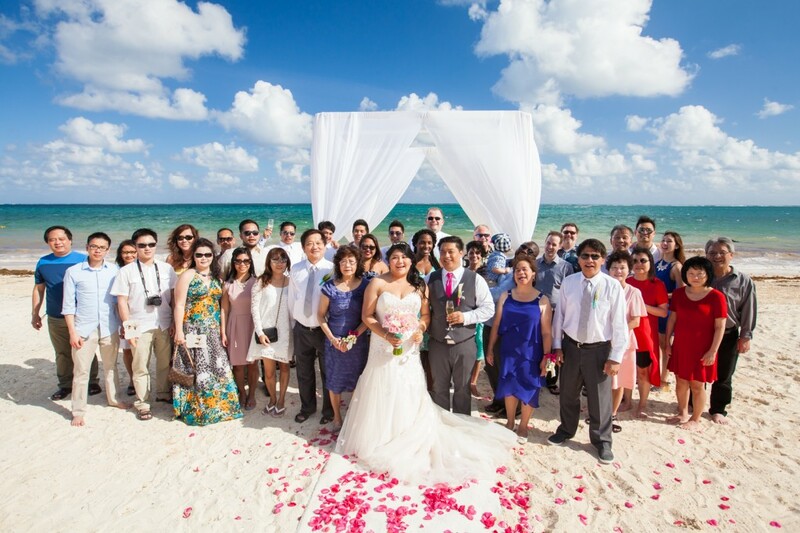 Guests were invited to join the newlyweds and their families on the beach for a group photo. 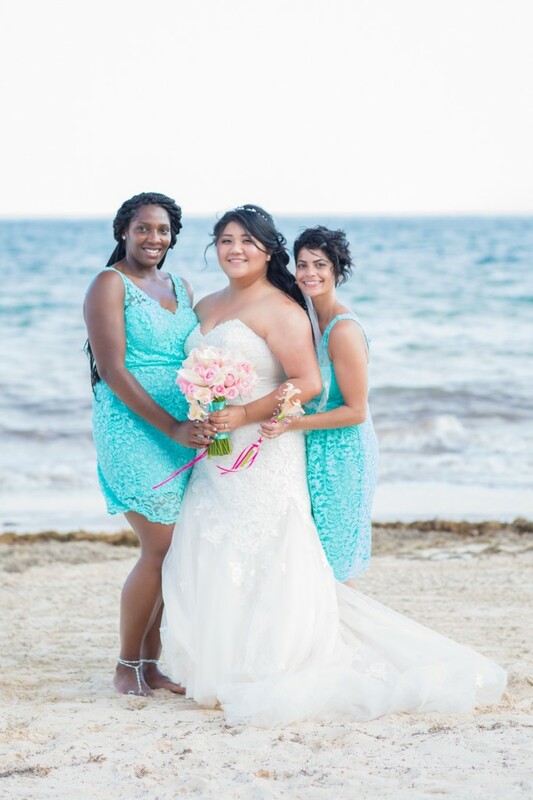 It was still early in the afternoon as guests made their way back to their rooms to freshen up after the ceremony, but it was the perfect time for portraits with the wedding party on the beach. 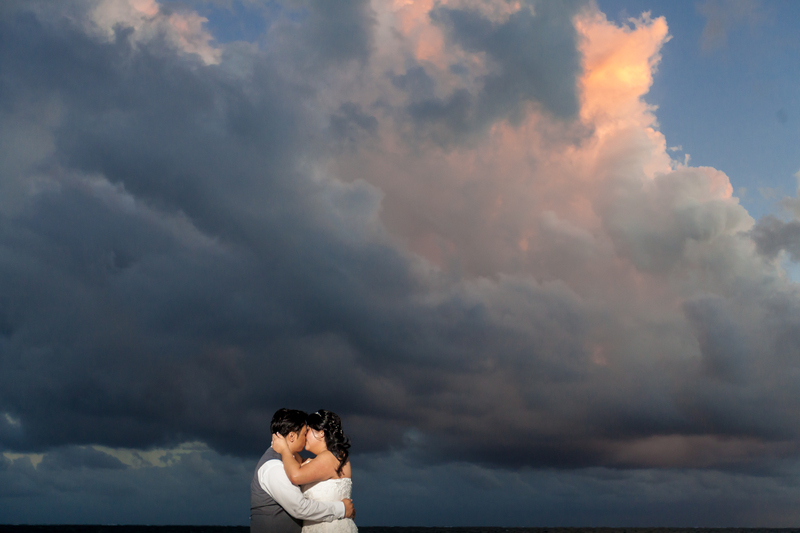 As the sun dipped lower in the sky we stole Cheryl and Lester away from their wedding party for a few portraits of just the bride and groom. 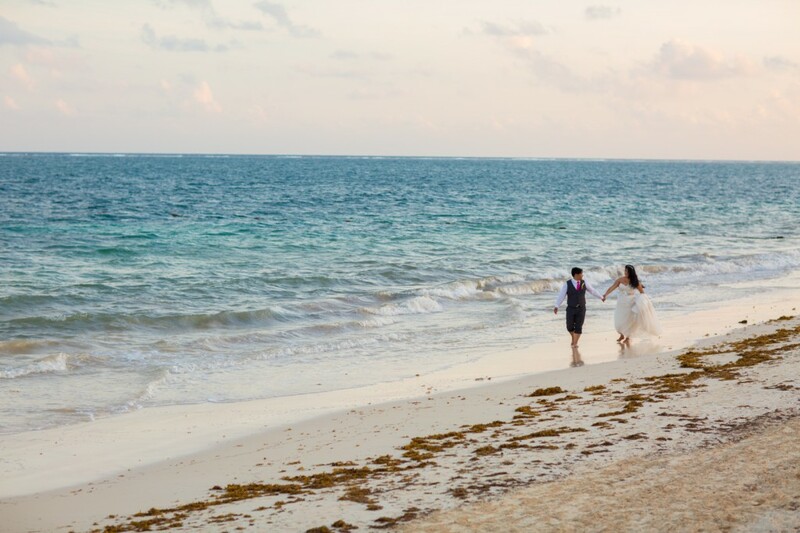 The empty evening beach provided and an opportunity for Cheryl and Lester to take a little walk and take in their wedding day. A private cocktail reception was held on the beach as the sunset over the ocean, providing us with a spectacular evening sky. 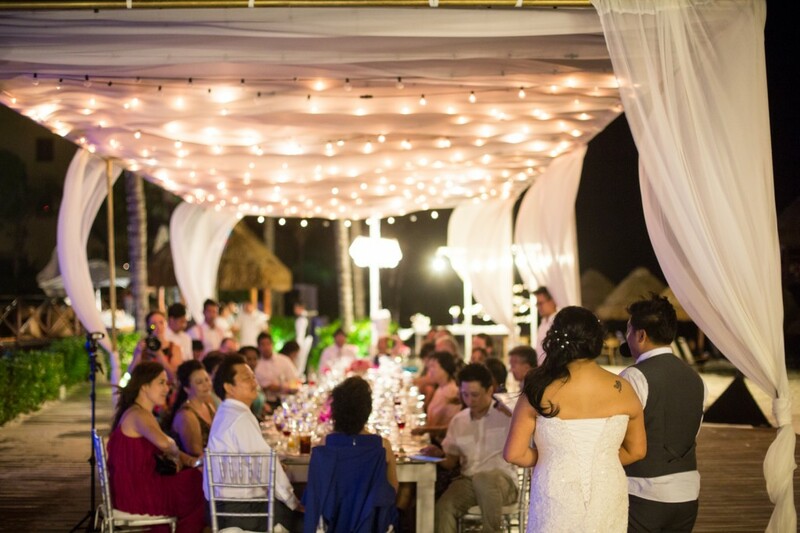 As the stars began to come out, guests were ushered down the beach to the private beach front reception area. 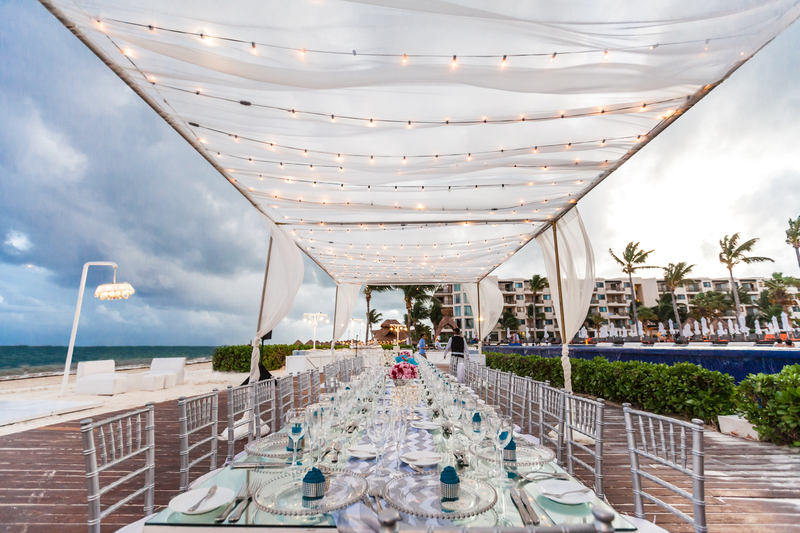 The dinner reception was lit by hundreds of tiny bare bulb lights and sparkling chandeliers, the perfect romantic setting for an intimate party. 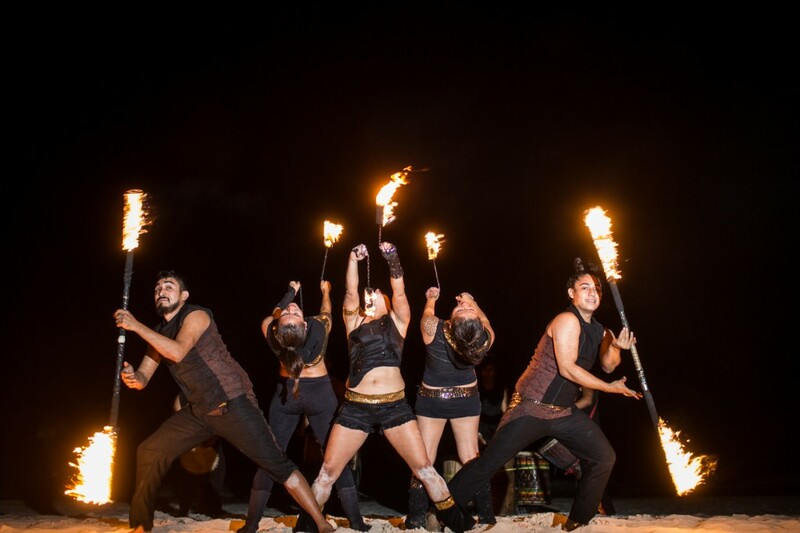 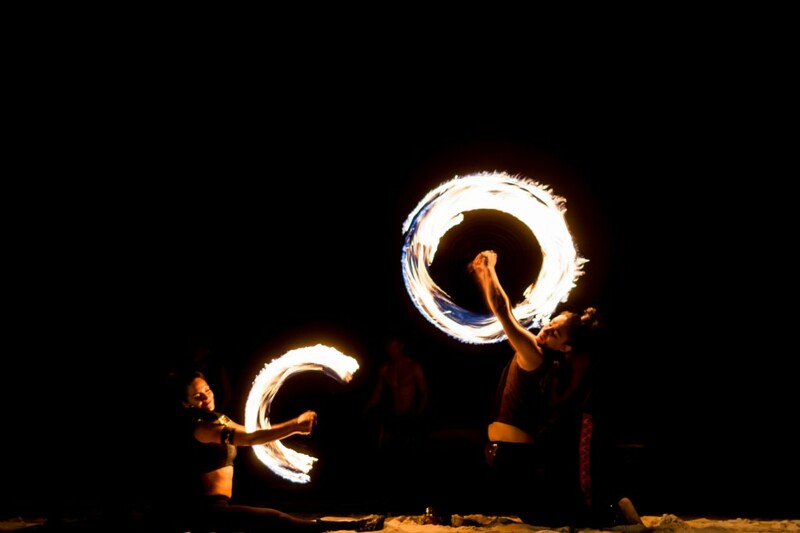 The evenings entertainment was a surprise performance by a group of local fire dancers. 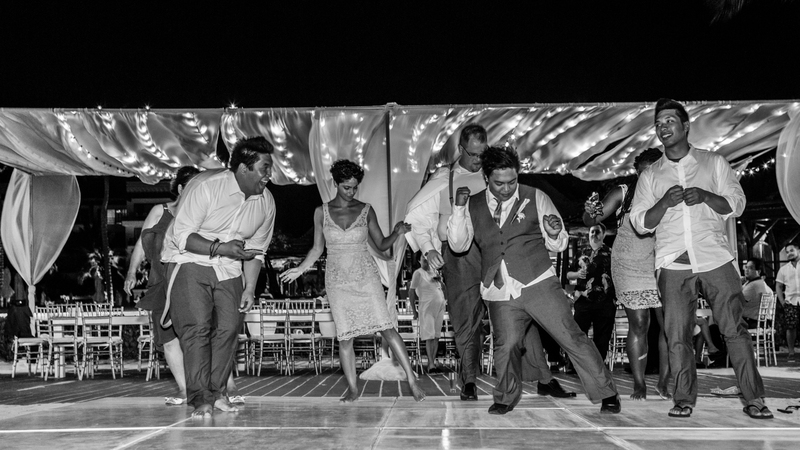 The drummers got the party started and as soon as the smoke cleared the DJ started up and the wedding guests took to the dance floor to dance the night away. 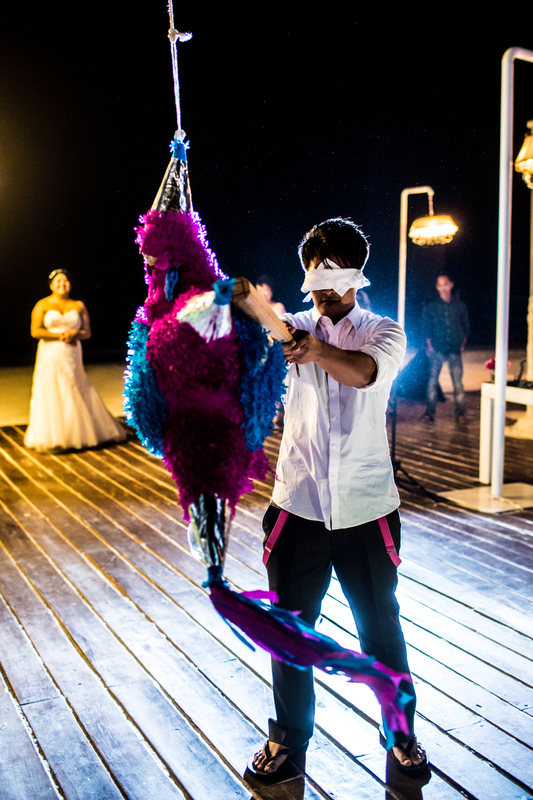 As part of the festivities, a piñata was set up and guests were invited to try their hand at cracking it’s brightly coloured shell. 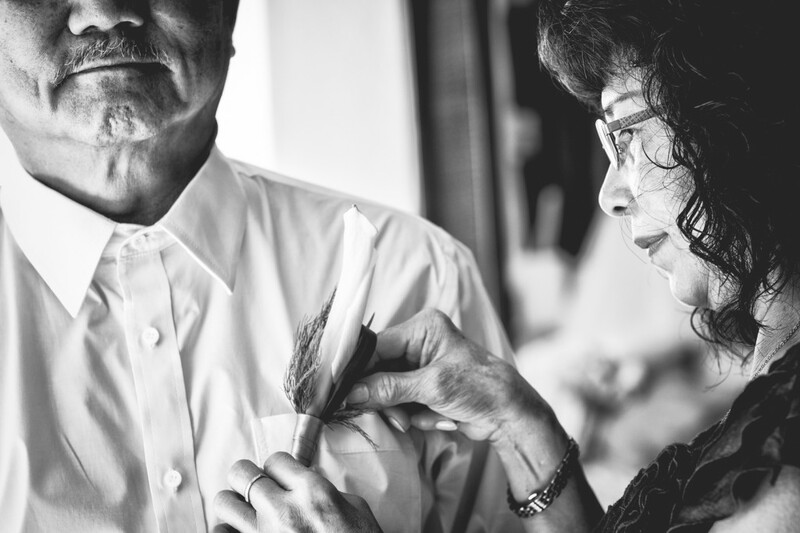 Lester and Cheryl were the first up to try their hand, but it was the combined effort of the bridal party which brought forth the candy. 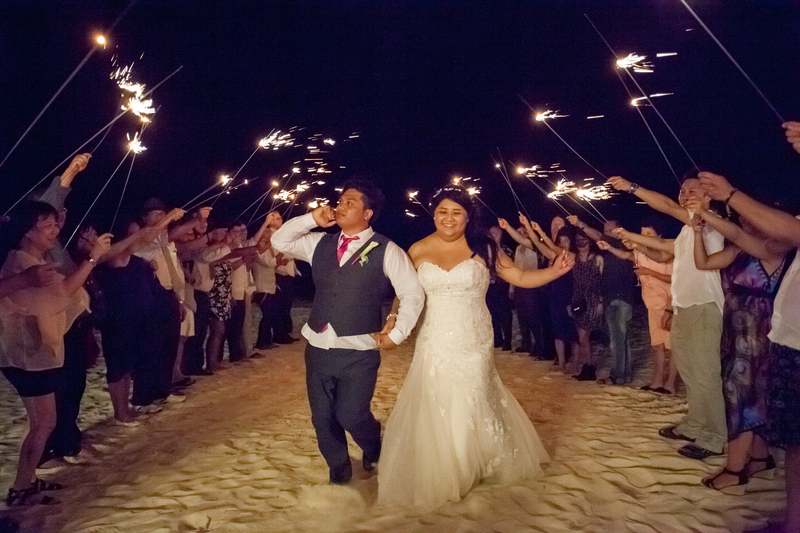 Cheryl and Lester finished their reception with an epic sparkler send-off on the beach. 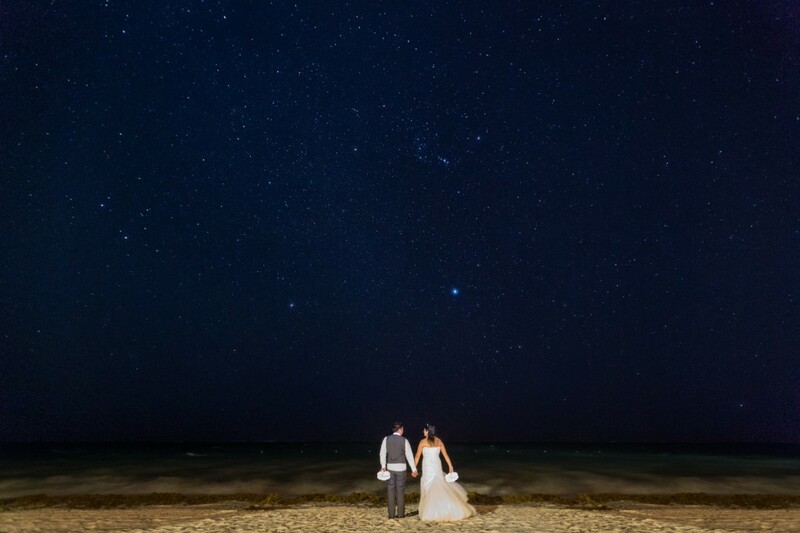 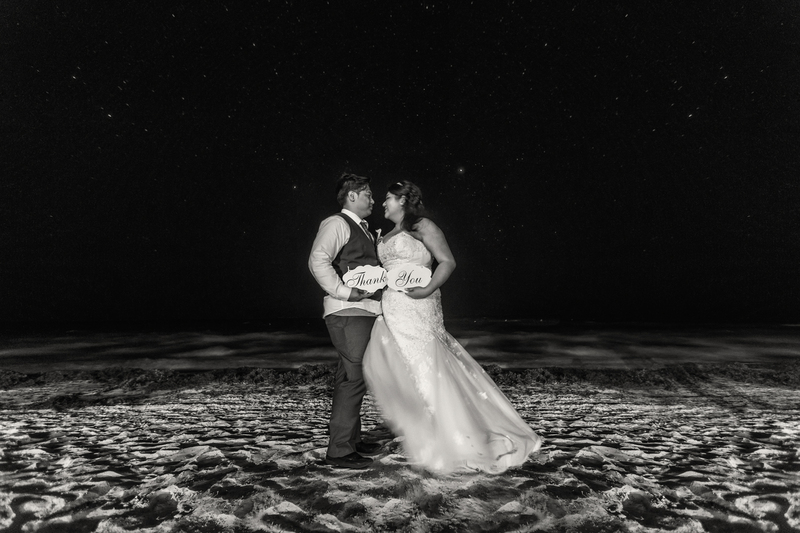 As the reception cleared out we took a walk down the beach with the bride and groom and took in a sky full of stars. 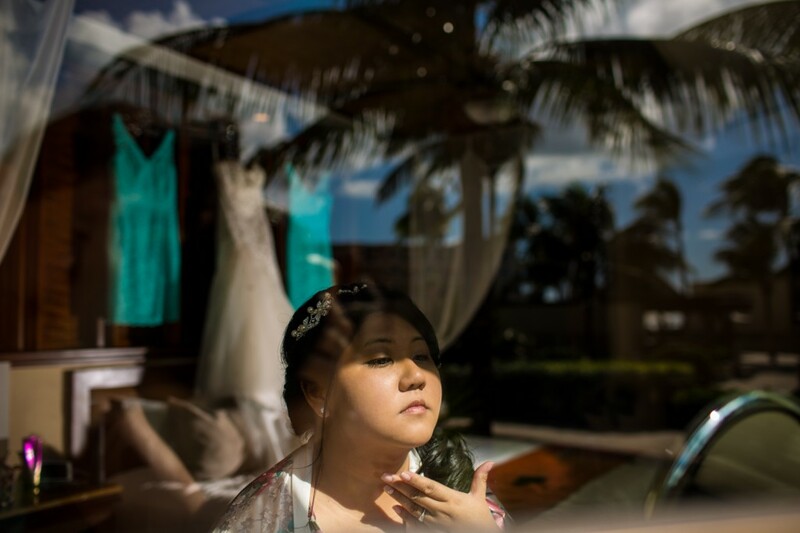 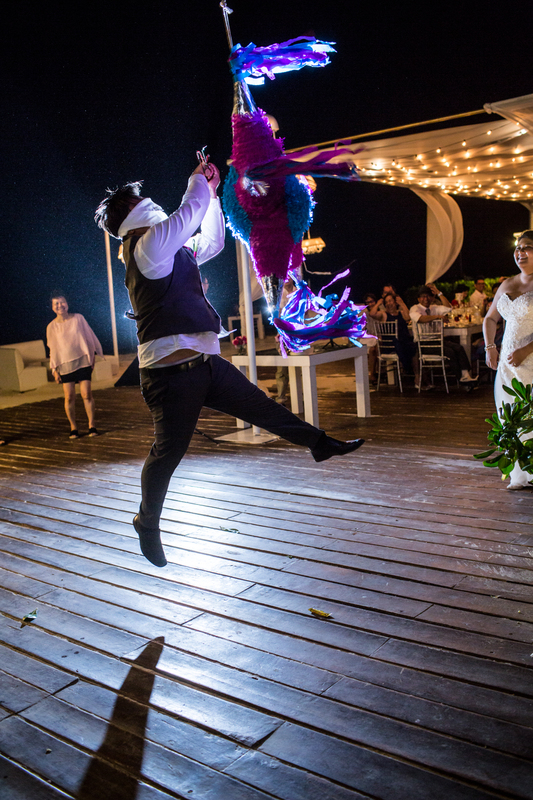 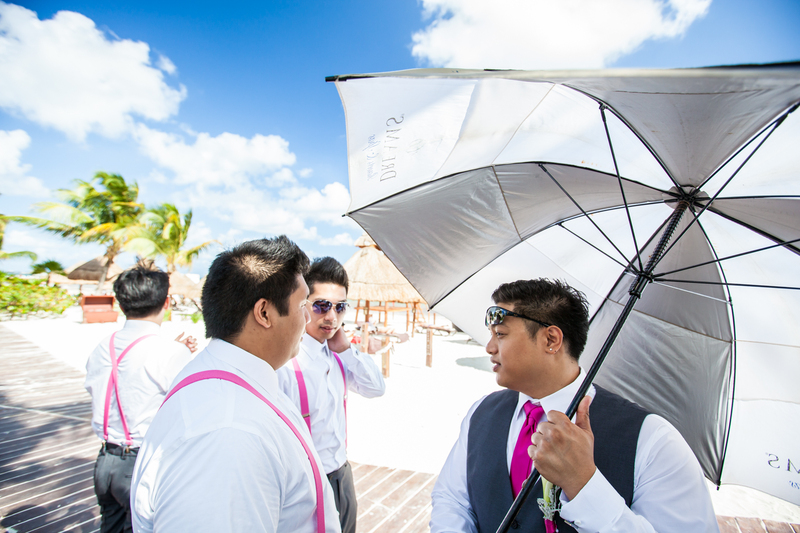 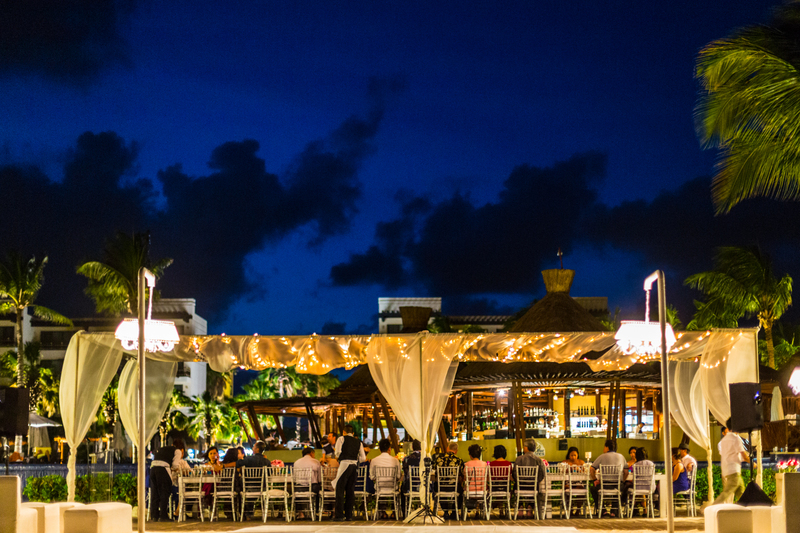 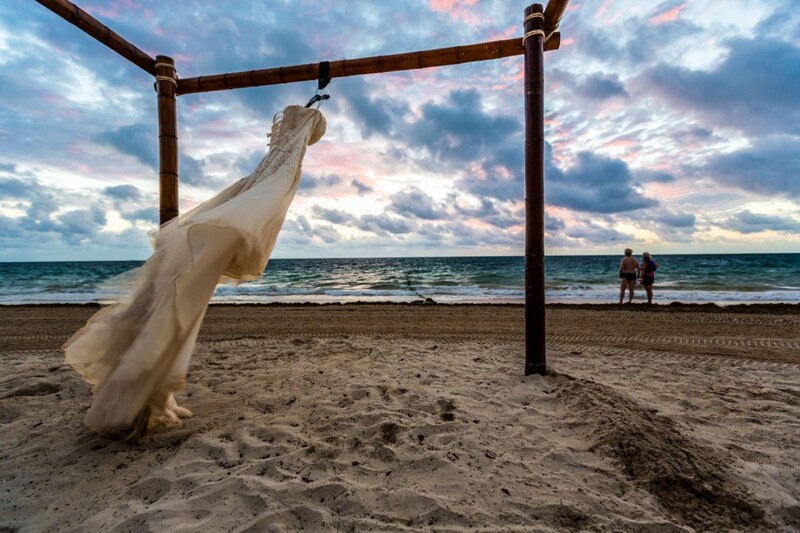 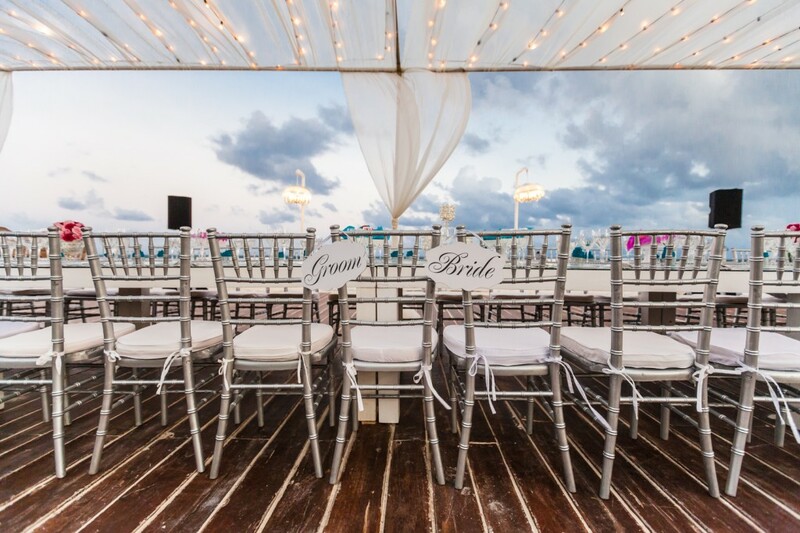 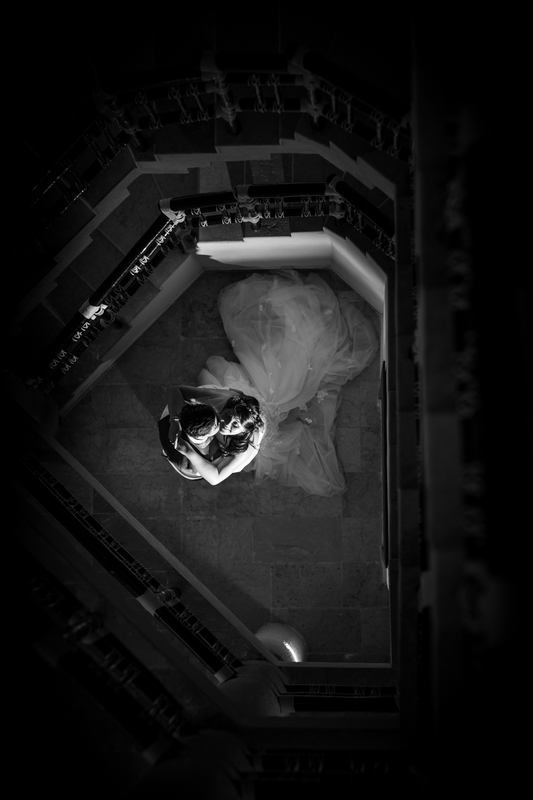 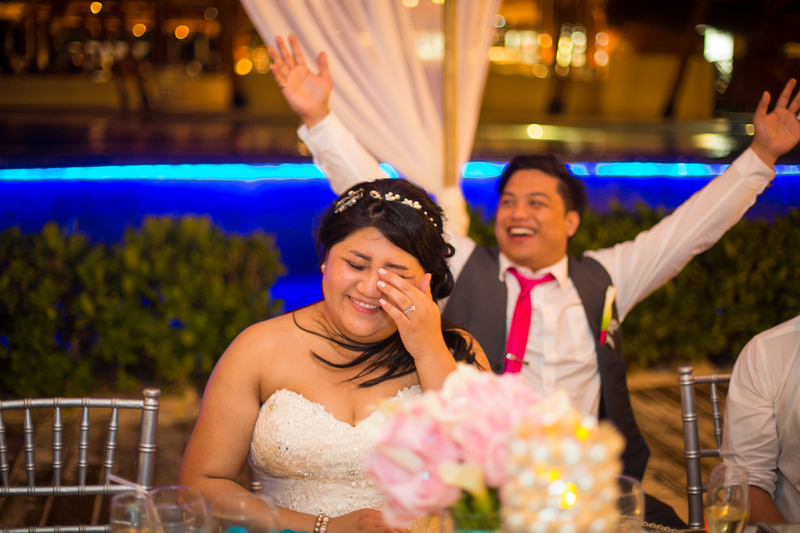 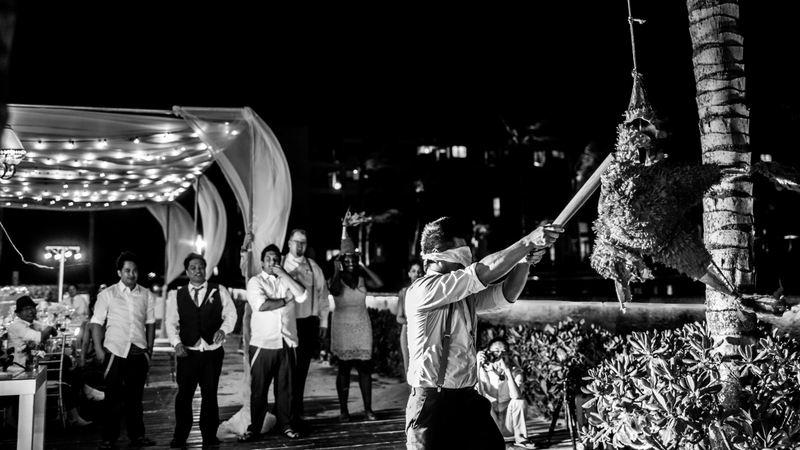 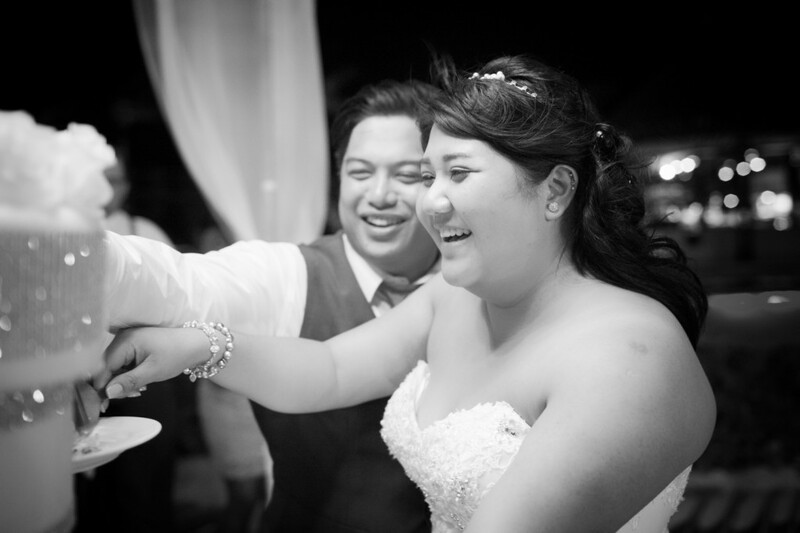 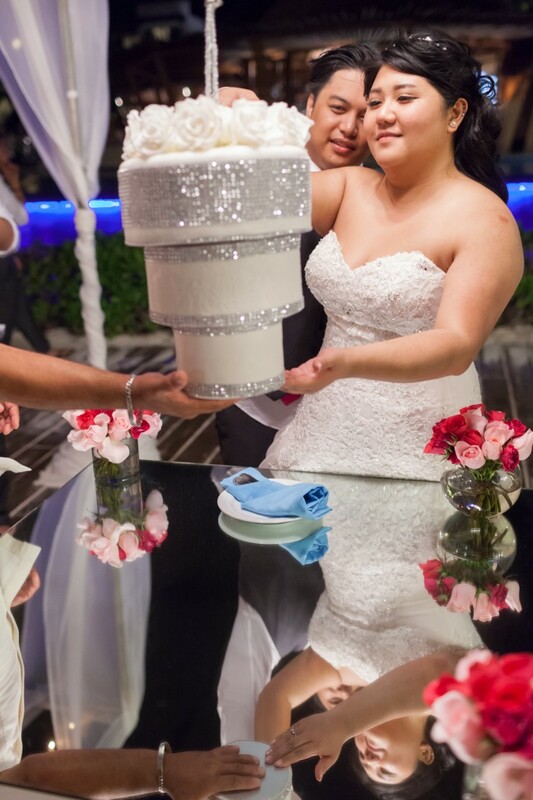 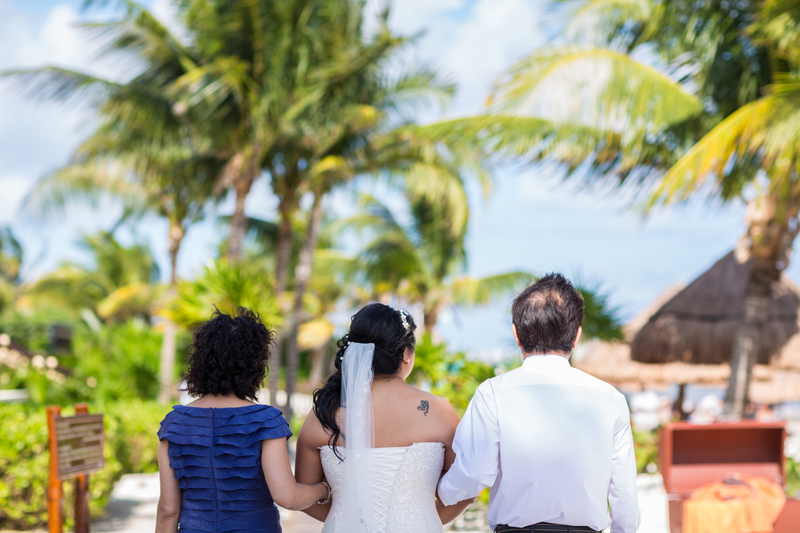 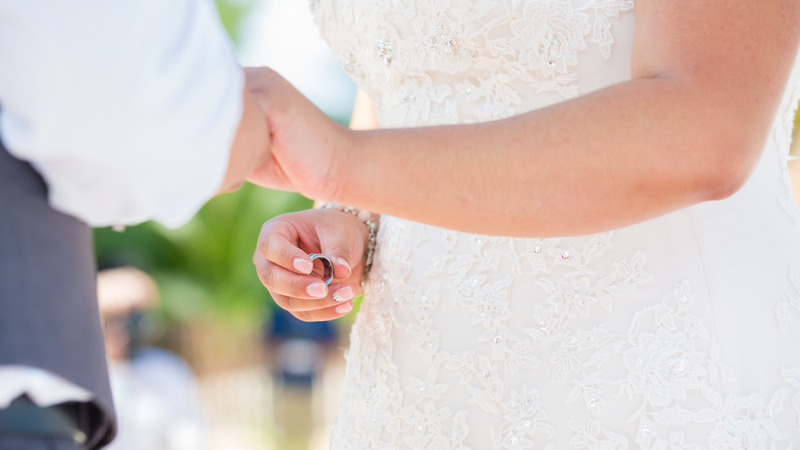 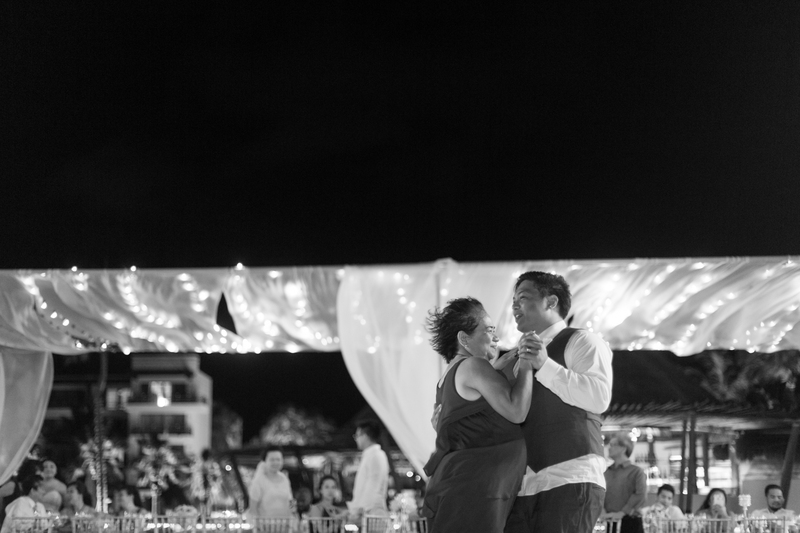 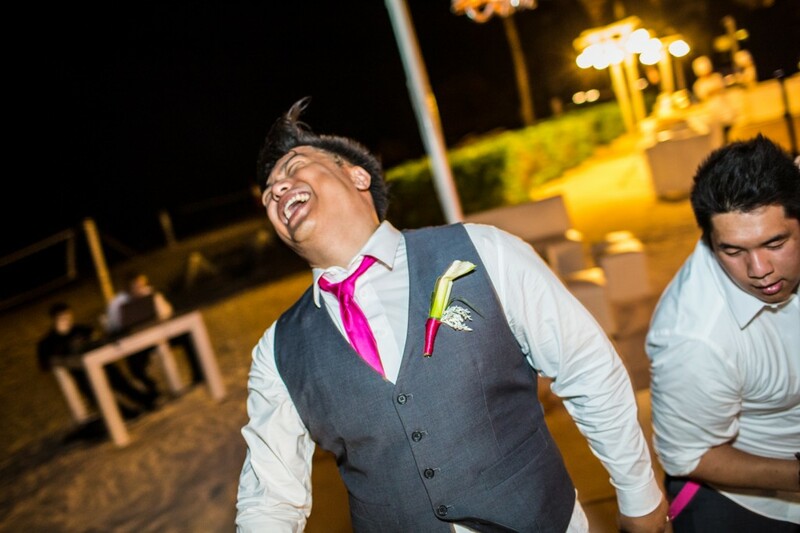 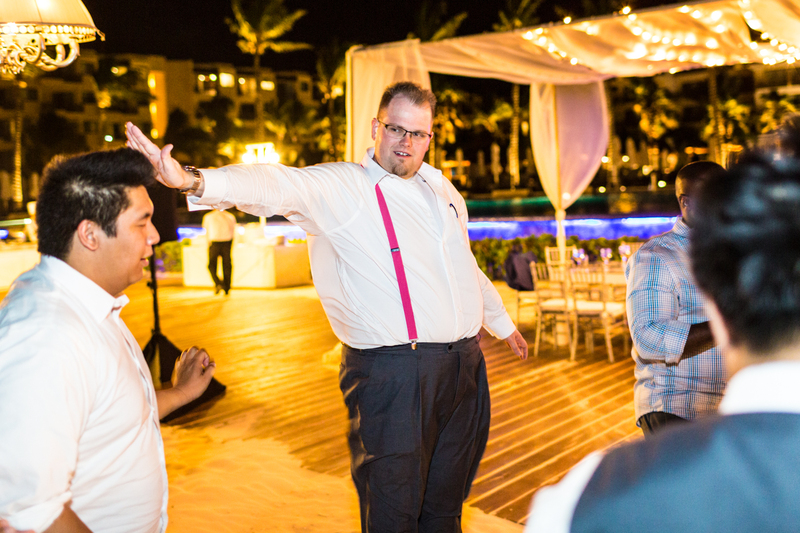 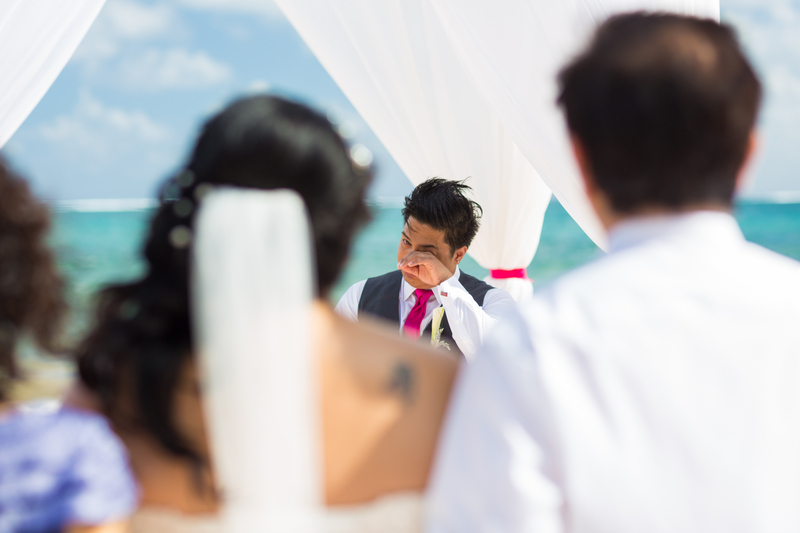 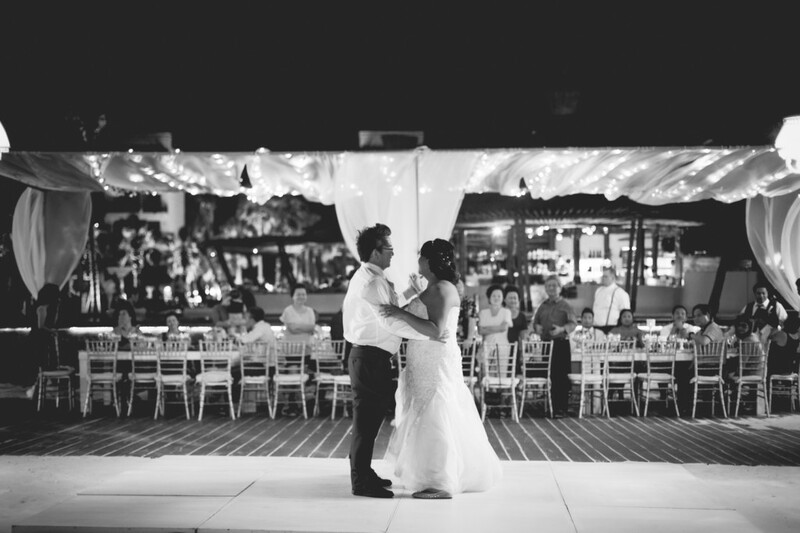 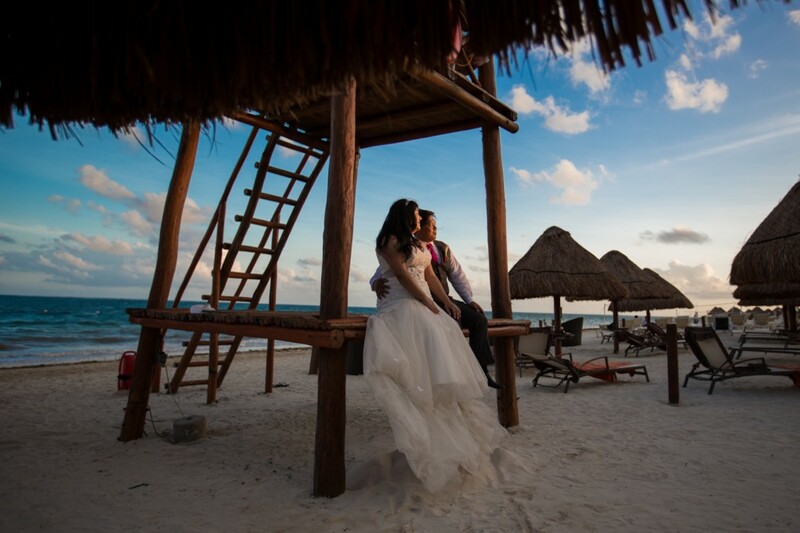 It was an absolutely stunning Dreams Cancun destination wedding. 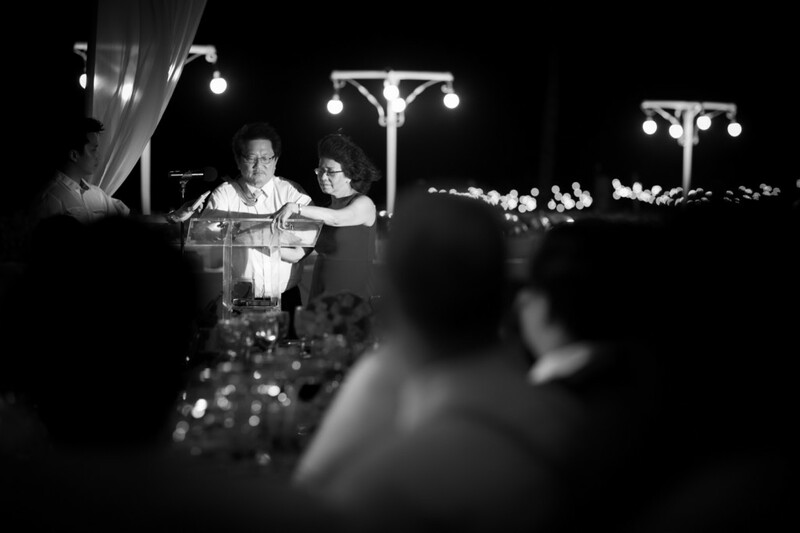 A couple of days after the wedding we met up with Cheryl and Lester for an evening adventure session on the beach. 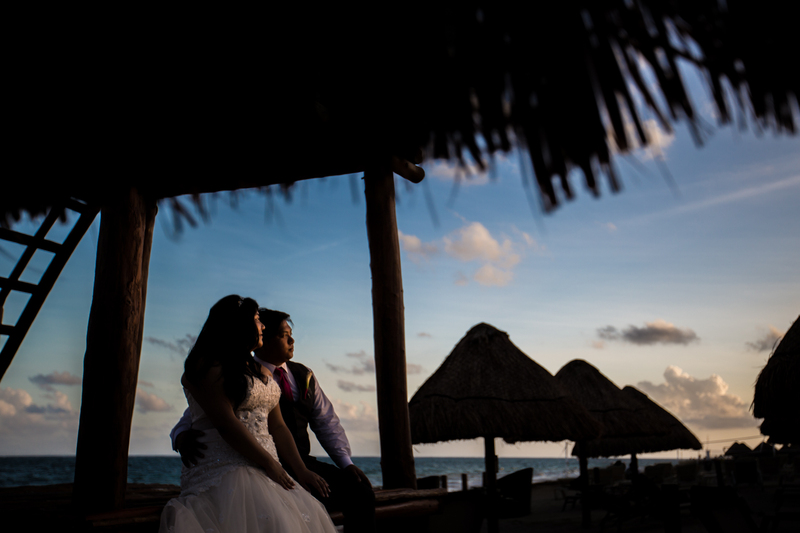 Both the bride and groom got dressed up in their wedding finery and met us as the sun began to set. 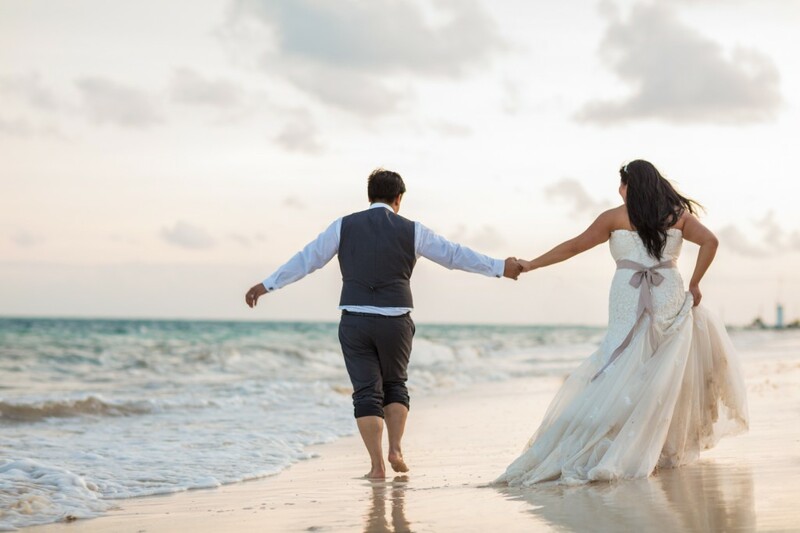 Not wanting to get their clothes too wet, bride and groom took a walk down the beach, letting the gentle waves wash over their feet. 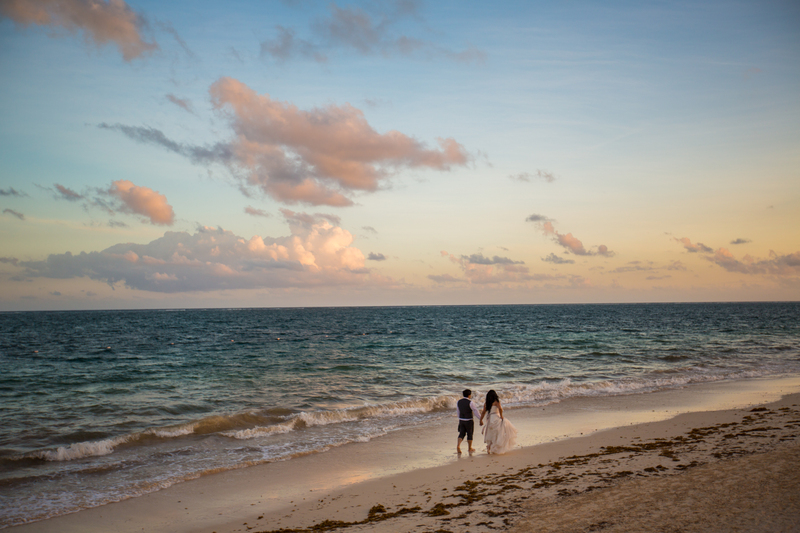 The beautiful golden light and calm ocean made for a very fun and very romantic portrait session. 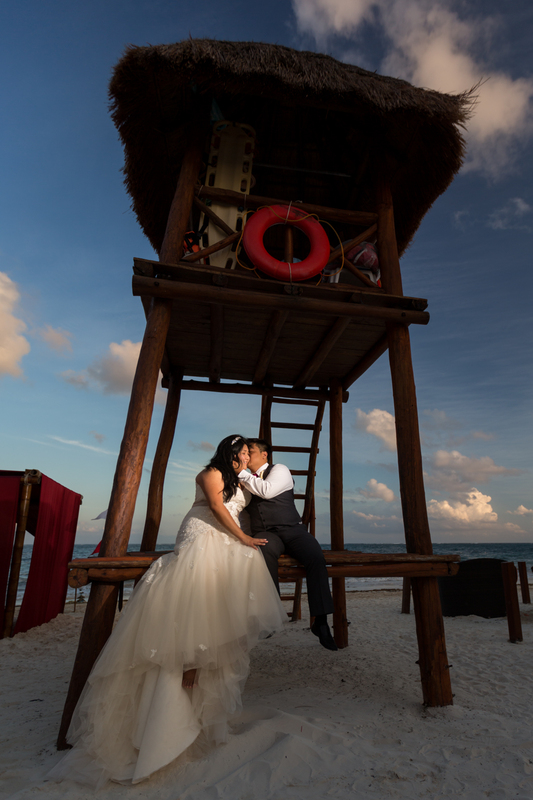 Thank you to Cheryl and Lester for inviting Deep Blue Photography along for your beautiful dreams cancun destination wedding! 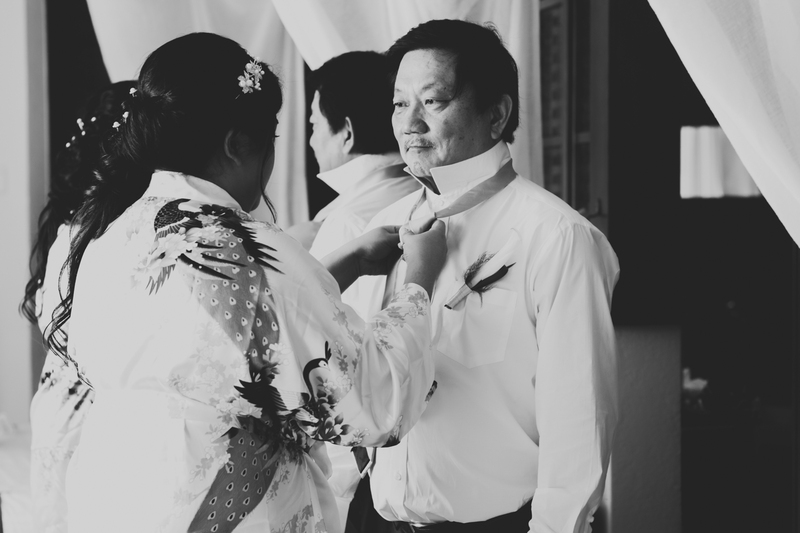 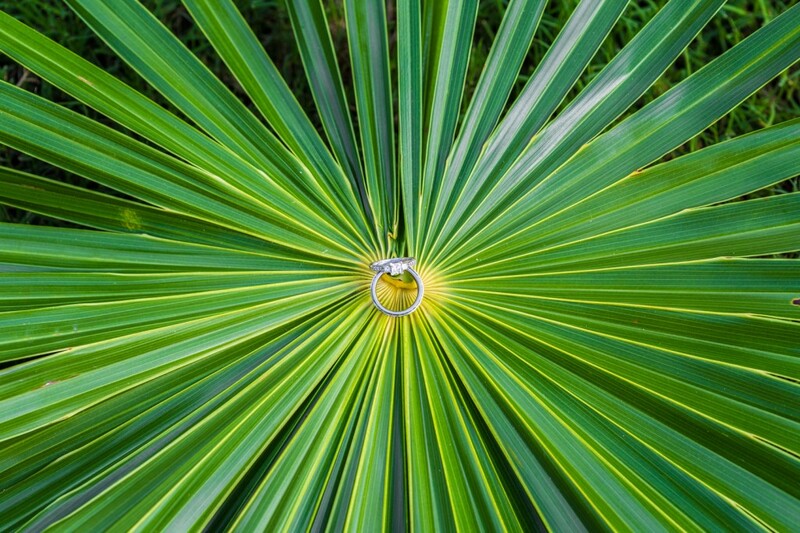 You can check out Cheryl & Lester’s Jasper mountain engagement photos here!